Video Testimonial by Mario and his journey on overcoming smoking addiction. Chopra Center saved my life. I had been living with self-hate and darkness for so long before I came here. I had lost my ability to cope with normal stressors of life. The Center has helped me feel safe and at home in my body, helped me stand on my own two feet, and has helped me do so much healing for my mind, body, and spirit. I am deeply grateful for having the chance to come here. The staff bring such a wealth of information, diverse backgrounds, and so much support. thank you to everyone who was part of this pathway to healing. I came to the Center because my family and friends asked me and suggested it. I came because I wanted to be a better father, husband, son & brother. I felt overwhelmed and sad prior to coming and I questioned my decision even after I had paid. However after 3 days at the Center, it was clear I needed to stay and I had made the right choice. I only stayed for 2 weeks and I truly wish I had stayed at least one more week. I leave the Center with a smile on my face and hope inside my heart. This wonderful place helped me to find answers I really needed. I have finally been able to close some chapters in my life and to understand the seed of my addictive behaviour. With the help of the supportive staff and with the amazing non-judgement environment, I became a part of the person I always wanted to be. I leave the Center with new perspectives of life. the center will always be part of my journey. Thank you for every amazing soul I met here. Chopra has changed my life in a way I did not think possible. Before coming here I was right on track to destroying my life with alcohol. I recently had a plethora of trauma happen in my life that pushed me over the edge and my only solace was at the bottom of a bottle. Even before these recent traumatic events, I was letting alcohol destroy my life. To the point where I was alienating all of my friends and family. When they finally sat me down to intervene, I also knew it was time but I also knew I need to go somewhere special and not your typical treatment program. And that’s when I found Chopra. With talking to Chopra via telephone, I realized that it wasn’t just therapy for your mind but for your body and soul as well. The mind/body connection is something that is so real, more real that I ever realized. thank you Chopra for opening up my mind and showing me that there was so much more to me that I ever realized and that I can do more than I ever thought possible. The Chopra Addiction & Wellness Center is a safe place where you can find rest and healing. The entire staff is very supportive and the place is surrounded by inspiring nature. I knew within a few days I came to a magical place. The staff are amazing. Each therapist had something different to offer. Understanding myself will change my life, it fives me compassion & love for my soul & mind. They offer so much, yoga, meditation, massage, acupuncture, Art therapy and many other things. The food was also the best. This is a safe place to be. You will find love, compassion and respect here. I choose to come to the Chopra Center for relief from a chronic health condition and insight into issues of self medication. I felt at home here and was well taken care of. This beautiful place is full of “masters at their craft” who guide you with knowledge, love, and kindness. My future looks much different now and I will be forever grateful for my time spent here. I have so many positive things to say about the Chopra Center. I came here in a very dark place full of anxiety and beaten down by hopelessness and depression. I had been to other treatment centers before for my disordered eating and self destructive behaviors with some help but nothing as foundational, fundamental and comprehensive as Chopra. It offers a variety of treatment and techniques with skilled therapists, instructors and cooks to nourish your body with incredible food. The support and caring is very healing and really helps one on the path to self-acceptance and compassion. If you’re unsure (as I would) you can call and speak to the staff who are so patient and willing to answer questions. I am so glad I found Chopra and know my life is shifted to a path I never though possible. The 6 weeks I spent at the center has changed my life. It has brought back light and chidlike joy to my life. The center is often filled with many moments of laughter and kind, supportive words from guest and staff alike. The whole program is skillfully designed to nurture a persons holistic well being. Everything from the food to the excursions to the therapy, the massages, the movie nights…and the list goes on. Any one considering coming can be prepared to have their expectations exceeded. Come with an open mind and try to look for what is right about the center, not what is wrong. I am an attorney who just left a stressful litigation practice. My time at the center has been profoundly restorative and has provided me deep insight and concrete skill sets to embrace the practice of presence and contentment. Come develop the tools to create strength within yourself. Leave with the strength to know your possibilities. Time passed slowly initially at Chopra Center. My 4th and final week pass so quickly, it was a blur. So try to be present from the first day because there is so much to absorb. I am indebted to the Chopra Center for the personal transformation that’s accrued here. I remember the exact moment of empowerment when a therapist put her hand on my arm saying “There is nothing wrong with you” She repeated this several times. I felt freedom from my own inner war within since I was very young. I was joyous and happy not to feel shame. I celebrated by throwing fallen leaves on my therapist in glee. She threw leaves at me. I am finally free to be me and I can see hope with colors, gratitude and inner light that burns in me. In addition, I live in joy without suffering. Thank you staff and guests. I spent an amazing five weeks at the CAWC. As a single mom this required a considerable investment of time and money. I really thought I could not afford to do this. Looking back, I now know I could not afford not to do this. After 20 years of attempting to resolve childhood trauma on my own with private therapists, a private coach and thousands spent on self-help books and workshops, I experienced limited success in moving beyond feeling stuck, cycling anxiety and lengthy depressions. After five weeks at CAWC I feel renewed, rejuvenated and launched full-on into my personal lifelong journey of wellness. The stunning setting, world class therapists, top notch yoga instructors, massage therapists, nutritionist, incredibly supportive staff and management and the amazing guests will not be forgotten. If you are wondering if this place is for you I can only say, for me, another year, two, ten, twenty struggling may have been my experience had I not chosen to invest in my stay at the center. I am absolutely without regrets. It truly is a magical place of learning and healing and an experience I shall forever cherish. With gratitude, always and in all ways. I came to the center with one specific issue – recovery from the trauma of my children’s addictions. They have recovered and I had not. In the 2 week period, I received remarkable support and counseling all directed at this issue. All staff were willing to work hard to help me achieve my goal and prepare me to apply lessons learned in my family. My gratitude extends to the specific counseling, extraordinary group sessions, informal work, massage, yoga, meditation and wonderful food. No detail was missing. Thank you staff for the dine work you do and the results you enable. There is nowhere in Canada like this center. It provides a loving, caring and spiritual home to heal the past, the present, addictions or needs. I needed a reboot. A retreat. I needed to get out of the rat race to be able to slow my mind. Slow my body. Reach deep down in my soul to find the next path that will guide me to a divine and deserving life. I highly recommend the Chopra Addiction and Wellness Center. I believe every person can benefit from it. It is a safe and supportive place to heal and confront the past. I loved the group therapy, therapists and support staff. Along with the other guests, they felt like family. I didn’t believe there was any hope for me. I was addicted to food, with depression, anxiety and trauma making it feel impossible to love myself. Soon after arriving it shifted and I grew to like, then accept and love myself. Amazing! Getting the help you needs to change your life and live with joy and hope is so essential. Do it for you and your family. I believe that the love and support and teachings of this center saved my life and they can save yours too. You are worth it! I spent six weeks at the CAWC and was more than pleased with that was offered. The therapists were amazing, as were the massage therapists. It is located in a beautiful are of Paradise Valley, just outside of Squamish. Overall, my stay was excellent and I would recommend it to anyone with addiction or mental health issues. I wish everyone could attend this center and receive the help the professional staff offer here. It is truly hard work fixing old wounds but the feeling upon taking the first step to healing is amazing. My experience at Chopra has taught me to look and think from many perspectives, different dimensions instead of one. Chopra Center has a great team that work well together as one and that is something I truly admire and respect. “This place is great! When do I move in?” Dr.Ray Stanz. From the first phone call I knew this place was for me. Amazing staff, wonderful group setting and individual therapy. Learned so much around why I made the choices I did and how I ended up with addiction problems. I am forever grateful for all I have learned at this magical place. Positive energy is everywhere at the center. Carrying that positive energy with me is my mission but I’ve learned its ok to feel what you feel. Sending back all the love! I am leaving Chopra with everything I came looking for. I fell equipped to handle future obstacles and am clear on how to maintain a healthy mindset. Time at Chopra is invaluable. I was in need of some serious help when I phoned into the Chopra Center. That call ended up being the best decision of my life. I was beaten down and broken and didn’t know which way to turn and had no one to turn to. Coming to the Chopra Center reminded me of what it was like to have people care about me and reminded me to love and care for myself. There really is something magical and wonderful here. I am forever grateful for the six weeks I was here. The food here is detrimental in my whole success. It helps my body ease into the process of healing. The staff’s kind and loving approach makes it feel like a home away from home. I came to the Chopra Center because I had the intuition it was the right place for me; that it would provide me with the care and support I needed to heal past traumas and recover from PTSD. I found an outstanding healing refuge overflowing with loving care, attention and support beyond expectations. As weeks went by, I reached deeper within myself and reconnected to my soul and my truth. I rediscovered what feeling safe and solid, loved and supported meant and to just let myself be who I was. The transformative time I had here can not be described, it has to be experienced. From the seed emerges a lotus and the joy of being fully alive. This is my second visit here in the last 5 years. I found myself happy to be coming back here for life’s never ending struggles. It is the one true place you can go to find your true self. All the staff are incredible and related to your journey of healing. The Chopra Center is a true oasis in a chaotic world we live in. The Chopra Addiction & Wellness Center provided services & supports beyond my expectations! Exceptional staff, high qualified therapists and relaxing surrounding. An experience that healed my mind, body and soul. Truly grateful for being able to come to this center. Chopra has changed my life in ways I never thought possible. It helped me to get to the bottom of my self medicating ways and showed me ways to cope with my childhood trauma using a variety of different methods from massage to private therapy sessions. Thank you to everyone for their amazing care during my stay. The Chopra Center more or less changed my life! The staff especially the therapists are the best around in my opinion. I also loved how occupied they kept me during the day with a variety of great things. You do yoga, meditation, group therapy, individual therapy, acupuncture, massage and more. They always have you doing something positive and healthy. I now no longer struggle with addiction because at the center they heal the root of the problem. Not like other treatment centers that just lock you up for a couple months, then leaving you feeling just as empty as you were upon arrival. If you come to this center and are willing to participate fully I guarantee you will be satisfied with you results. I will forever be grateful to the Chopra Center. When I came I was hopeful that my time would lead to improvement however my expectations were exceeded immensely. I have never experienced such a shift in my mood before. The center is so holistic and the staff is excellent. I highly recommend the Chopra Center and believe that all guests will find benefit from their stay. My time here has brought to light the reasons behind my pain. I am thankful to recognize this and continue to work on my issues. The group therapy by different therapists brought different techniques and points of view which were helpful. Weekly nutritional workshops and acupuncture were a welcome way to spend evenings. The forest surrounding the property is magical and healing in itself. The support staff were great to talk to. Wish I could stay longer. After smoking for 51 years I came to CAWC and am now a non smoker. Not only did I receive a safe supportive and comfortable path to overcome my addiction … I also learned the tools and follow up care I needed to ensure my journey would have a successful outcome. I give full credit to the CAWC team for my success in finally fulfilling my wish to stop smoking. This place is so fantastic, all the staff here are such kind, incredible people. The programming is put together so elegantly, and guests are treated with such compassion. The setting is absolutely beautiful, and the food is awesome. Magic happens here. I came to the Chopra Center needing help and couldn’t have made it to the front door without the extremely loving compassionate support of the staff. The Chopra Center is located in a very special place where you naturally begin to feel at ease so that the healing journey can begin. The entire staff are experts and each bring something extremely powerful to the experience here. The food is absolutely amazing and beyond words! If you feel list and hopeless and feel like you have nowhere to go, you do! The Chopra Center can be a beautiful home for healing. I just can’t say enough about it. I was worried before coming to the Chopra Center! I felt like in some way I had failed, and that was the reason I would be coming. Within the first week I realized that the mistakes I had made that led me here, were not mistakes at all because they led me to such an eye-opening experience that most people unfortunately will not experience. I believe everyone and anyone would benefit greatly from coming to Chopra with an open mind and a willingness to improve their life. The people here give you valuable information and tools, but also allow you the freedom and respect to follow your unique path. My healing journey at the Chopra Center was a life changing and memorable experience. The support staff are incredibly helpful and experienced in each of their practices. I came to the center seeking help for my underlying trauma and addictions issues. 5 weeks later, I was able to leave with new coping methods and a new perspective, while also being addiction free. I may still have a tough road ahead of me, but the learning and support I received during my time at the center was invaluable. Thank you so much to everyone who became a part of my journey. I have made the best, and biggest decision of my life by coming to Chopra. My journey of 4 weeks here has been monumental and life altering for me. My experience with support staff, therapists, cooks, yoga instructors, house keeping staff, massage therapists, and administrative staff, all combined has given me tremendous strength, love, care, compassion, understanding in a safe space thus allowing for personal vulnerability, honesty, growth, and experiences to heal and believe in yourself with self love and kindness. I walked in a rose bud, and I walked out a beautiful flowering rose garden. You can too! This place has changed my life. I came from a dark place, PTSD, addiction, depression. After a month here, I feel like a whole new person I have hope and faith that I can and will succeed in my life. I’ve learnt how to love myself and how to accept my past and my abusers as part of what made me who I am today. I love who I am I love the staff and life long friends I’ve made here. I’ve tried every kind of therapy and all types of healing remedies nothing has worked until I found CAWC. I recommend to anyone struggling to com here. You will find a new meaning to peace and serenity. I LOVE IT HERE. Deciding to stay at Chopra has been the best decision of my life. The morning of my arrival, I was still hesitant to go and when I got to Chopra I was only intending to stay for 2 weeks. In my first week, I was able to work through a number of issues. The work here has been very hard nit the staff have been so supportive and made every effort to make sure I felt safe and held space for me to work through all the emotions. My 4 week stay at Chopra has changed my life, I was able to accept and let go of many things. I am able to see with clarity which has given me peace I’ve never had before. Without question the Chopra Center has changed my life. I came from a place of sever disconnect and isolation, stuck on addiction and fearful of living my life. The nurturing atmosphere, from location, to staff, to peers, is unprecedented in this type of care. I did not know this level of support or caring existed in the world. You will truly feel loved and safe here, no matter what you are or have struggled with. There is something truly amazing about Chopra in its healing power that you simply have to experience to believe. My only regret is that I put off coming in trying to heal myself. If you are willing to at least try, if not tirelessly to make a change, you will have no greater results than with Chopra. After attending the Chopra Wellness Center, I feel more confident stepping back to my day to day life ready to handle anything and everything! Unlike programs that take power away, the Chopra Center gives you power, self worth, and knowledge to become your higher self. By building the strength from inside﻿ you enter the world joyfully outside. The Chopra Center embodies ones ability to honor thyself. I arrived here with many scars and fears. I was unhappy and had no idea who I was. The Chopra Addiction and Wellness Center was my saving grace. Through the support if amazing staff, fellow residents, and the curriculum, I have discovered myself, am learning to love and accept myself as I am, and have found strength and freedom in getting to know my courageous self. Undoubtedly, this place is magical and has changed my life. I have had the most amazing experience at the Chopra Addiction and Wellness Center. I can’t say enough about the wonderful, gentle and caring staff that work here. The chefs and kitchen have also made my stay here a special one. The delicious food has inspired me to learn to eat more vegetarian meals. The yoga, meditation, group and therapy sessions have all played a part on allowing me to find myself and to love myself more than I have ever done in my life. I highly recommend a week or two for anyone who want to find themselves! Na Ma Ste. I came here as a broken soul. Unsure of myself and unsure how to love yourself. The staff here really know how to tap into what kind of work needs to be done. They were able to get me to really dig deep down to find certain details of my life that had/has effected me and help me push though it. Coming here, be ready to do real hard work on yourself. It’s so worth it when you put 110% in. I wasn’t sure how much I would get out of being here but in the end, I got so much more than expected. I truly learned how to love myself and forgive myself and others. Best thing I could have ever done for myself. I am happier than ever! Honestly, the perfect place to find yourself. It should be somewhere everyone comes to learn how to stay true to your essence in an ever changing fast paced world! Staff is incredible and the environment offers so many incredible healing opportunities. This place is truly a gift and you will not be disappointed when you leave here. Happy healing! And thank you to Chopra and everyone that helps make this place a beautiful oasis. It’s a big investment and I was extremely nervous when picking a treatment center but as soon as I arrived I knew without a doubt I made the right choice. This gave me so much peace of mind and helped me settle right in and start working on what I came here to do. It really is just like a big family here and everyone just wants to see you succeed. The love and compassion is contagious and the food is unbelievable!!! They really have something special here and I wouldn’t change a thing. Hi my name is Mike and during my 6 weeks here I have learned to have a healthy diet and lifestyle. I also kicked a drinking and cocaine habit that surely would have been my demise. The tools I learned at Chopra will most definitely help me in my future sober, clean and healthy. Money can’t buy happiness but it also cannot by love but once you step foot in this amazing place it will be the most amazing experience! You will transform your life. What they teach you about yourself here money can’t buy it’s a priceless experience! I have been to the CAWC twice – this is my second visit. I wouldn’t have come back if I didn’t think I would benefit from it. My first visit was only 2 weeks and I had a lot to work on. During those 2 weeks I came 20% for me and 80% to appease others. As a result I learned the tools and applied them in a half-hearted manner. To be successful here you have to dig in, be open and be vulnerable. That is what I am doing in this 3 week visit. This time I came for me and I have learned that a better me will help with my most important relations – the ones I want to build and nurture and the one I want out of my life; my addiction. Chopra helps you to do this but the hard work comes from within. There is serious work to be done here and for it to be effective you will have to come and to be prepared to work on you self-compassion, mindfulness, and vulnerability. If you are coming for a holiday or a mental get away and not prepared to do the work, this program won’t help you as much as it can. Chopra has made a better person out of me. It has provided me with so many tolls for me to take on and live by not only for my immediate challenge but for the rest of my life. There has been so much knowledge it is hard to write but have summarized in the “Coles notes” versions. The biggest message I learned from everyone is the body is the main source of life that the brain has a way of taking advantage of although in life you think your mind does all the talking but deep down it is the body telling you the problems. So when asked “how do you feel?” take a moment breathe and feel deep inside from the body/heart/stomach and you can answer the question truthfully but with compassion. “follow your core values” “think with our hearts feel with our minds” I am a better person, better father and a better me. When I came to Chopra I was pretty much a very lost soul, needing a lot of guidance, love, compassion and how to deal with my feelings. Learning to be able to come up with boundaries and how to go about it, meaningful and kindly. And learning to breathe again, relax and be very comfortable with myself. Getting my pride again. Learning to laugh again. Found out nothing is impossible if you believe in yourself, love yourself, and to be kind to yourself. Getting my self confidence back again, feel proud of who I am. The walks to river, hikes, massage, lectures, acupuncture, food, kindness and yoga all go hand in hand. Totally my most important thing I ever done for myself and it feels so good. Phenomenal experience. So glad I had the honor to attend. Rebirth feeling for sure, very positive. There is something special about healing with group support, as if every person was a healer for each other. I never could have done it alone. Thank you everyone at Chopra. Loved my experience here was great! Amazing staff committed to the patients care. Yoga, meditation and food is fantastic. i feel like I can start a positive sober new life with the support I have received. Thank you! Oscar Wilde once wrote: “To live is the rarest thing in the world. Most people exist, that is all.” Knowing myself well enough I would say in very recent times, due to various circumstances in my life, I found myself in the just “existing” category of the above statement. The Chopra Center and all it’s staff brought me back to my roots of “living”. Living for me means constant Adventure and I now possess this one more so thank you. I am very grateful. Chopra is a center of healing. Before coming here my life had become unmanageable. I’m now leaving with a change in perspective. This will be the cornerstone for my new life. All the blessings to everyone who contributed to my progress and success. I came to the Chopra Center in desperation after a 5 year battle with depression sand anxiety. I had been depressed for so long, I let it define me. Through the tools I learned and the support from everyone at the Chopra Center I was reintroduced to my authentic self. I am now allowing love and joy back into my life and I am define by who I am not what I’ve been through. Coming to the Chopra Center is one of the most important choices I’ve made. This is a definitive point in my life as I’m going back to the world a new person authentic and fearless ready to follow my heart (dreams). I think the hardest part about coming is leaving and having to say goodbye to all the wonderful staff. The Chopra Center is such a magical place. It truly is the best gift you could give yourself. Healing happens here! Chopra has exceeded all my expectations. I think the most important item to list is your staff. All your staff is caring, and knowledgeable. The therapist really work towards your needs. Massage and acupuncture is an experience you don’t want to miss. Your chef and cooks are outgoing and a pleasure to see every day. Thanks. I came here not knowing what to expect. I was kind of a mess. I feel like I grew so much as a person. Even though I was a very rational person who was very set in my ways, I leave a better person, open minded and happy. While at the Center, I got some brutal and devastating news but the support I got at the Center was just phenomenal and I am so thankful. This truly was a transformative experience. Thank you so much! Chopra Wellness centre is exactly the right place that you never knew you needed to be. Let go … and get ready to be transformed. This Journey has been a magical, life changing immeasurable experience! Within 2 days this community became my family. I walking the door void if everything. I’m leaving with self-love, self worth, hope and an entire tool box of practical techniques to use in my new lifestyle. Chopra renewed my faith in life. The staff here are a group of the most caring, wonderful, loving, compassionate, beautiful people you could ever know. This place is the best possible gift you could give yourself. Oh! And the food is amazing!! I came to the center burnt out and broken in spirit and body. I am so grateful to have found this center. Every single person from the center genuinely cares about helping. They are all so kind. I felt accepted, supported, nourished, and connected. From the yoga to meditation, comfortable beds and the amazing food, every need I could dream of was here at the center. I am leaving grounded, empowered, compassionate and strong. Much love to all! The Chopra Addiction & Wellness Center has given me a while new approach to self awareness, self love, and importantly in my case, self forgiveness. I feel that I now have the strength and the knowledge to successfully put my addiction behind me and continue with a meaningful, purposeful life. I have discovered a freedom and a sense of purpose here that I never before imagined I had. My favorite parts of the program were yoga, meditation and group therapy. I strongly recommend this program for anyone seeking positive change in their life. The Chopra Center is a very unique and staffed with a professional, caring and supportive team. It was exactly the right place for me to soak in much needed TLC and unwind my overwhelmed nervous system. I was able to relearn how to take better care of myself, stay centered and reconnect to the true essence of my spirit. I feel I have my vitality back and the tools to continue to put my self care first. All of this was possible due to the holistic approach the center takes. It has been such a gift to receive this experience have had a connection to myself that nothing can ever take away. The core issues of alcohol misuse have been addressed and healed rather than just focusing on the symptom of addiction. What a life changing experience and I am so grateful for this magical place. Nervousness dissipated quickly upon arrival as I was received warmly by the staff and guests at Chopra. The team at the center designed a program that nurtures the mind, body, and spirit simultaneously. I came away with an understanding of who I am and how to care for myself and live my life authentically. I’ve learned how to listen to what my body is trying to express and not allow my thoughts to drive my actions and identify who I am. I’ve come away with much more than I ever imagined I would. To the entire staff … I thank you for all your love and kindness; your support and care was much appreciated. I will always be grateful for this amazing gift. The Chopra Center experience has changed my life in a profound way. I came here to learn to prevent a relapse of alcohol addiction, I am leaving here having rediscovered my vitality as a man. This place is so much more than amazing food, yoga, meditation and psychotherapy. I feel like I learned how to live the vibrant, happy, connected, aware life I always wanted. My faith in myself and my fellow human beings has been restored, I am excited to bring these teachings home to my family. Chopra is built on sacred land used by First Nations peoples to unite to settle conflicts. With this sacred, healing history, it is infused right into all who walk upon it. When you arrive you can eventually feel that you have come to the right place at the right time. Chopra’s philosophy of healing body, mind and soul is infused throughout the home with soft lighting, candles, blankets for comfort and warmth, neutral colors and attention to quiet times. What is most important is that the staff “walk the talk” of the Chopra philosophy. Overall, each member of the team adds to the Chopra experience by sharing their own personal experiences and how they live the philosophy of Chopra. For those of us whom have no experience with healthy lifestyles, it is a welcome example of how it is done. This has been a very good experience for me personally. I love new tools with which to manage old problems. And finally, the “piece de resistance” is the food. It’s delicious. It seems each chef starts their ingredient list with love. The food is very nourishing and delicious because it is made with love. You will love it here, and you will find ways to lead a healthy life. We all need a safe place to heal. The Chopra Center is such an entity. There are no fences to keep us in only genuine authentic and kind individuals who have made it their work in life to assist us in recovery through discovery. I believe that healing is a spiritual journey which is best accomplished when we are surrounded by a village. We euphemistically build a staircase where the steps vary in height, some even take us downward. This may seem regressive but we are still moving forward and is part of our journey. As my Mom taught me, we are not backward in going forward. Thanks Mom. P.S. The food is exceptional. Deciding to come to the Chopra Center has been one of the best choices I’ve ever made. The support, love, and compassion received from other guests and staff is remarkable, not to mention the incredible therapists and outstanding chefs. Before coming to the Center, I was deeply unhappy and lost. After my 4 week stay, I’m excited to return home and use the tools I’ve learned here to continue building my pathway of happy bricks 🙂 I highly recommend this experience to anyone ready to make positive lifestyle changes. I’m forever grateful to have had this opportunity! It is hard for me to put into words how wonderful the Chopra Addiction and Wellness Center has been for me and my healing journey. My experience here has been nothing short of incredible. I feel I am leaving here as the vibrant and healthy person I was always meant to be!! The food, massage, and yoga were exactly what my body needed and LOVED! I was witness to my blood pressure dropping from a dramatically dangerous high to a near normal level in just three weeks and to normal in my last week. I was ecstatic about this. I fell FREE and strong and am so excited about the rest of my life. If you are looking for help with addiction or just looking for an overall “wellness reset” the Chopra Center is the best place to be. You will not be disappointed. I am forever grateful for the compassion, education, and most of all loving kindness that I have received at the center. I will forever be an advocate of this facility. I wasn’t sure what to expect upon arrival at the center. I was nervous and apprehensive but knew that my life and the happiness of my family were hanging in the balance. There were so many wonderful experiences here. There were also some painful and difficult ones. What is true of all the experiences is that they were exactly what I needed … If you show up and lean in, you’ll get exactly what you need. My decision to come to the Chopra Center was the best decision I’ve ever made. It was a life changing experience … one that quite literally saved my life. I was at my wit’s end … I had given up, I had been swallowed up by an extreme anxiety disorder that had gone on for over 10 years and then more recently sever depression. The only was I could cope at all was by drinking. I had tried every medication and every treatment imaginable to get better and nothing helped. I went to a different treatment center that was supposed to be the best and came out of it worse that ever as far as the anxiety went. I attribute that to the fact that all those other treatment centers basically operate on a fear based program that is very harsh. The way that guests are treated at the Chopra Center is a completely different experience. I was nurtured and cared for with compassion, understanding and respect. I was educated on the techniques and skills I needed for proper self-care and healing. I highly recommend to Chopra Center for anyone but especially to those who feel like I did … like I had tried everything to help my anxiety and nothing worked. This place will help you … it saved my life … I feel like me again! I came to this center broken, paranoid, fragile, and extremely anxious. Life had become too much to handle and this seemed like a last resort. What I found here has completely changed my outlook and perspective on every aspect of my life. I am no longer a victim, I am a strong and thriving woman thanks to the entire program. From the world class staff who truly cared about my well being, the gourmet delicious food, even the bed was comfortable enough to have the first of many deep sleeps. I couldn’t have asked for a better place to heal. I will be forever grateful to the staff and the environment. It was peaceful and healing like out of a fairy tale. I’m so glad I had the pleasure of coming to the Chopra Center. All of the staff are super sweet and supportive. The food is great and it definitely dells like a home away from home. Coming here was a life changer for sure! I heard from 3 very dear people how wonderful and life changing this center was and finally when I recognized my life was starting to take a downward shift I realized I needed to come. I had grown tired of waking up each morning disappointed to still be on this planet. Being a single Mom to 4 children, the battle to find my joy and zest for life was definitely needed because I love my children with all my heart but my energy levels and cup was empty. Overcoming my own issues of shyness and not closing others off was my first challenge here. The staff are so there for you and there is so much joy here even with all the work we “have to” do on ourselves. This retreat is such an incredibly safe, loving, joyful place where not only the staff but other guests hold space for you. I love my roomies and so many of the staff and guests. The breakthroughs in therapy are incredible and the compassion and laughter have brought us closer in creating a safe environment/community. I highly recommend this even for something as simple as finding your joy again, no matter why you need to come. I found me after decades of being afraid of being judged. Turns out I may have been my own biggest judge. The Chopra Addiction & Wellness Center allowed me to reconnect with myself and my family. The Chopra Addiction and Wellness Center was able to offer me services and a lever of healing that I was unable to find outside of the center, My experience here and everyone’s support and kindness is one that I will hold close to me and never forget. I would highly recommend the programs here to anyone and everyone! Regardless of what your back ground or struggles may be. If you are looking at this, you have come to the rite place. It will change your life. I came to the Chopra Center broken and afraid. I left feeling whole and empowered. The therapists, staff, yoga, meditation and absolutely delicious food were a huge part of my healing. Coming here was the best decision I’ve ever made. Sat Chit Ananda. The Chopra Addiction & Wellness Center allowed me to reconnect with my true self. The Chopra Center is a lovely place to come and find your center. The staff are kind and skilled and the food is excellent. Quarters can get a little cramped at times, but that gives us all an opportunity to learn both boundaries and flexibility. I haven’t solved all my problems but I’ve planted new seeds of resilience that will serve me well. I may just have to come back! Coming to the Chopra Center was one of the best decisions I have ever made. The moment I got here I felt supported and safe. The staff, the therapists, and cooks are all unique and genuine people that instantly make you feel important. The way the days are set up so that your body doesn’t even have to think about if it will feel good or not. The food, yoga, and massage are all components of that special recipe. The forest that surrounds the center heals you on it’s own, and with the staff’s support and knowledge your mind unwinds without you knowing. In the first week I was emotional, but it felt safe to be. My levels of compassion and awareness in my mind, body, and heart increased and I became curious about my healing, and others too. I made connections with strangers that will be cherished. Being in connection with them and myself allowed me to dig deeper. The psycho-drama was by far the scariest and most valuable therapy I could ever do and I wouldn’t have been able to do it without the support of staff and the others here. It allowed me to leave my head and feel. The group therapy opened my mind and gave me tools so I could rely on them and dig even deeper. I feel like me again. I feel compassion and strength again. I feel alive again. Teachings like these are what is going to change this world and bring peace. I came to the center extremely nervous about the unknown… “will I be sharing a room”…. “will I enjoy vegetarian cuisine”… “I’ve never done yoga or meditated, will I be lost”. All my worries completely vanished during my first week here. For my first 5 weeks I had a room to myself and in my final week I decided to share a room with a friend I made here. I went from a processed, animal based diet to fully embrasing and loving being vegetarian and meditation and yoga helped me further connect to myself. I came here suffering severe PTSD and depression. I was angry, unhappy and lost all joy in life. I’m leaving with self-love, support and a new start. Don’t second guess yourself, Chopra is the right decision. The Chopra Center has helped grab a hold of my life and put more focus on myself first. I am leaving here with self confidence that lacked before and believe my life is worth living and sharing. Choosing to come to the Chopra Center has been one of the best decisions I have every made in my life. The staff and therapists are truly amazing. With the use of yoga, meditation, a lot of therapy and group therapy I was able to finally get in touch with my inner self which has created a positive shift in my life. My experience at Chopra has been a life changing experience and I am forever grateful for my time there. My experience at the Chopra Wellness Center has given me back a passion and love for life I thought I would never have again prior to entering the program. I am forever grateful to the staff and guests, that provided me so much kindness, compassion and love during my stay. I leave the center with a mindset that anything is possible for my life moving forward. I leave here at this time full of happiness and joy. As a family physician working in the realm of general medicine, I’ve been exposed to the stories and lives of thousands of people. Behind much of the disease, mental illness and socioeconomic challenges of all people (including me) there are trauma patterns that I now understand more fully. I have gained many useful neuroscience and evidence based tools in this program which will aid me in my medical practice and especially in my understanding and treatment of addiction or unhealthy dependency patterns in others. (as well as myself!) what a fantastic, personalized, fun, fascinating and solidly useful program. best money I ever spent. Thank you so very much. The Chopra Center has really helped me come back to my true self. Coming back to my true self has allowed me to explore my past and feel positive for my future! Wow, in my short visit I was just in awe of the love and support the staff gave me. The knowledge I consumed was everything I needed to get me back on track and open my broken heart and soul up to love myself and others to become the father I need to be for my boy’s. Thank you for touching my heart. The staff here is one of a kind! Really. MTK thanks for inspiration! I came to the Chopra Center not really knowing what to expect. After 4 weeks I feel like a completely new person. It really did change my life and I’ll never forget my time here. So thankful for all the staff and also made life long friends. I fee better than new. Amazing place amazing staff! Wouldn’t have chosen anywhere else. Complete transformation of the mind, body, and soul. I will never forget the love and kindness I was shown. Relaxed and caring approach had me comfortable within moments of entering the Chopra Center for the first time. After completing 4 weeks here, I have the confidence and strength to lead the life I’ve always wanted. I knew it was there … Chopra helped me find it. Making the decision to come to the Chopra Addiction and Wellness Center has been one of the best decisions of my life. The therapists and support staff have been unbelievably compassionate and supportive. This is a place of healing! Thank you so much for everything! At times in life we can all feel a little lost. For me, substance was only a minor component to the misery I was battling. For years, dark clouds followed me and it became part of the fabric which was me. I didn’t want to spend the rest of my life like this and it was the Chopra Center that helped me realize my true hurt and pain, and realize my pure potential inside. Love to all of the staff and guests that began my healing. The last four weeks was a true gift to my soul, spirit, and body. I am eternally grateful to the chopra staff, other guests, and myself. This place helped me a lot as someone who is constantly between the physical and spiritual realms. This place is a bridge between those so it is more helpful than somewhere that only honors the Western approach or only honors the spiritual side. The only thing I was hesitant about when making the decision to come to Chopra Center was knowing there were no private rooms. Finally after three years of contemplating whether to come I arrived and a room was assigned to me without a roommate. After my first week I requested a room change and shared it with my “new friend”. After my second week another “new friend” joined us and the three of us supported each other on our healing journeys!! Don’t let the idea of sharing a room deter you from experimenting the compassionate approach to healing at the Chopra Center. You’re worth it. I came here a very anxious person who would often disassociate throughout the day. Here I learned how to maintain presence and mindfulness in everything I do. My name is Jack G. I am happy to say that my stay at the Chopra Center has been transformative. Last summer I was hospitalized twice due to psychosis which stemmed from high TCH marijuana use. After this ordeal I quite everything drinking/smoking/weed. I just stopped. What came after was depression. I gained a significant amount of weight for the first time in my adult life and was lost. So to cope I would watch Netflix for hours on end and sleep most of the day. With the help of a really good friend and some anti-depressants I was able to slowly get back some of my former life, but depressions and isolation were still very recent in my day to day life. After being sober for 3 months I went back to smoking cigarettes and marijuana to cope with my depressive emotions. Very quickly I got back to old habits of smoking daily. All of these things pilled up and with the help of a loving mother I came out to the Chopra center. I didn’t want to end up in the hospital again and generally wasn’t very happy with my life. I came here with a negative outlook and negative mind. Well it took about four days for that to e completely flipped into a positive outlook and a self loving mind. Over the last three weeks I have gained an array of tools to keep myself calm and positive naturally and my inner child has blossomed. I find myself laughing easily and honestly and enjoying exercise again (I lost 15 lbs.) Above all else knowing my psyche how it gets down and how I can turn the negative downward spiral into a upward positive spiral. I am leaving here with a natural glow of positivity and self love. The staff have guided me towards spirituality, inner peace and flowing love. I came to the Chopra Center to stop drinking. I did that but I got so much more. I worked through some shame issues, a lot of anxiety and I incorporated a meditation and yoga practice in my life. I also came to understand the importance of proper nutrition and how important that is for health. I can’t say enough about the caring and professional staff and therapists. They are top notch all around. I couldn’t recommend it more highly. It truly was a life changing experience for me. One of the most important decisions I have ever made. Great food. Great people. Caring, loving. Will miss everyone here. All the staff at Chopra are amazing, super supportive, and share their knowledge and tools which ahs helped me tremendously and the food is amazing! I am very grateful for my experience at the Chopra Center. It was a deeply introspective journey and I find myself leaving with more awareness and joy than I had hoped for. I feel like now I have my flashlight to lead me though darkness. I have to thank the Copra Center from the bottom of my heart for showing me how to love myself again. The support and guidance that was provided to me was so authentic and nurturing. I came here very broken, very angry, full of fear, couldn’t stand to be with myself. Today I can sit with myself even when I’m going through difficult emotions or trials in my life, and be calm and thoughtful. I have awareness of my choices. Thank you to the staff, therapists, the Dr and nursing staff you have truly reconnected this broken woman. I will be forever grateful. I felt nurtured and cared for. The process is gentle but genuine and effective. The grounds are beautiful and restful. The food absolutely fantastic. Yoga and meditation so useful – a healing experience. Very balanced. Hi. I have been sober fro, alcohol and drugs for 30 years. I have been using chocolate, caffeine, sugar and non food for my life. Three months ago I left my husband of 22 years. I didn’t feel appreciated or heard by him, his kids or our family. His kids could do no wrong in his eyes. We had made space in our home for them. Our ski in winter, bike in summer, (I don’t ski or bike) home is clean, full of food and ready for them. Home didn’t even feel like mine. I needed a break, Hawaii, Costa Rica, Deepak Chopra Center. Where should I go? I got a new therapist that explained the behavior my husband was showing. Could he have PTSD? I jumped and said yes, tell me more. While, my body was going deeper into “No wonder he can’t see his kids behavior clearly. He can’t see anything clearly that requires emotion. 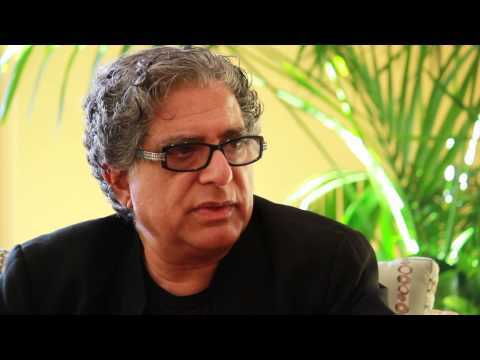 Oh, how crazy am I, that I put up and shut up, stuffed my frustration and then exploded in emotions?” Well I decided to do Deepak Chopra Clinic. My best decision next to A.A. in 30 years. After a day and a week my withdrawal and headache subsided. My fight or fly out of my body response has settled down. I realize that most of us have trauma. I healed some of mine and I are healthy real food. Fantastic, amazing food. Brilliant, wise, gentle, patient therapy and above all the safest, supportive and gentle environment. Please if you identify love your self enough. CAWC has given me the tools I need to manage the symptoms of post traumatic stress in a healthy way. The staff are incredibly patient, compassionate, and supportive. I arrived a terrified, hurt and broken child, and I left a powerful, confident and capable young woman. Thanks for everything! The Chopra Center has changed my life and given me insight into myself like never before. I feel that the base of meditation and yoga are such a key foundation for me and finding out how much importance community has in my life. I will be forever grateful for my experiences here. Copra Center is a wonderful, healing place with an amazing support staff. The Chopra Center is an amazing healing place. I accomplished more in the 4 weeks that I was here than I have in my entire life. This place is a life changer and would not hesitate to go back. It’s a safe place to fall and pick yourself back up. When I first came to Chopra, I was a very nervous and shy. Starting with the intake and continuing on through the 4 weeks I was there the staff and other guests were extremely friendly and helpful. The staff were outstanding in helping me deal with my personal problems and I left the center a vastly different person than I was coming in. The combination of outstanding therapists, group and individual therapies as well as the support staff change me immensely for the better. When I came here to the center, I was feeling nothing short of hopeless about my life. I had anxiety and depression and I could barely leave my house. Chopra Center has filled me with hope and helped me believe in my ability to live a healthy life. I am leaving here with many coping skills I will carry with me in my everyday life from now on. I will always be grateful for the center, for the many gifts I received. Coming to Chopra Center quite literally saved my life, and consequently changed my life for the better. I had lost myself and was suffering from terrible anxiety and depression and abusing substances as a way to numb my feelings. Immediately upon arriving at the center, I felt safe and welcome. The caring, warm, and supportive staff offer a variety of treatment modalities including, but not limited to, individual counseling, education, nutrition, acupuncture, and group, massage, music and art therapy as a means of connecting your soul, mind., and body. Daily yoga and meditation practice allowed me to connect with my body and quiet my mind. I was able to open up and overcome some of the challenges and obstacles that I was facing because the environment was so very safe, inviting and comfortable. I was encouraged to do what was most nourishing for me and participate at whatever level that I was at, hour by hour and day by day. It is hard to put my experience into words but I promise you that this place is magical and life changing. I was able to find myself again. I highly recommend the center to anyone who is struggling, especially to those are seeking an alternative to the 12-step approach. Being at the center changed my life. I will always be incredibly grateful to all the staff and therapists that made my journey so supported and amazing. Even on the tough days the staff are there for what you need, no judgment, just love. I would recommend time here to anyone, who ever they are. Everyone could benefit from some time (the more the better) at the center and come out feeling whole and enlightened. I came to the Chopra Treatment Center when I felt my life had spun out of control and my relationships were painful and destructive. I arrived expecting to talk about my problems, solve them, make a plan, do some yoga and meditation and return to life refreshed with some new tools. I received far more. Being here taught me how to come into my body and know it deeply, how to be present and connect with people authentically, that it is safe to love and be loved and that facing the pain that I had been running from, and numbing from, head on allows me to live this love fearlessly. From start to finish the support staff, therapists and fellow guests have made this challenging journey safe and comfortable. I am leaving here overflowing with gratitude, love and excitement. I get to live the rest of my life in this amazing wise body! Thank you to everyone ho has the courage to take this journey and make this global community that much stronger. My experience here allowed me to feel true joy again. Through the compassion and communication and community here, they helped me heal to the very core of my being. I have the freedom and awareness to live life engaged and in the present. It is a beautiful gift to have this safe place that allows you to be who you are. A truly special community that is all for healing. Never have I felt so safe and supported in an environment. This was hugely conductive to exploring new ways of being. I’m happy to say that I’ve uncovered qualities that I believed were forever lost. I not look forward to the journey ahead. I chose to come to the Chopra Center for it’s holistic and wellness based approach to healing. What I found was this and much, much more. The loving, supportive staff helped me face past trauma in a safe environment and deal with a lifetime of anxieties. Along with therapy, I absorbed new ways of approaching nutrition, spirituality and physical exercise, while discovering a love of art and developing life-long friendships with other guests. The whole experience was wonderful. Great support staff, program and real comfort all the time with the good and bad days. Thank you so much for allowing me this awesome opportunity. Before coming to the Chopra Center I struggled with an eating disorder, extreme anxiety and depression. All of which I had been battling for years, trying everything possible to get better, nothing worked. The Chopra Center was my last resort, hoping and praying that I would find the help I needed. I made the commitment to come for 4 weeks. Never in a million years would I have guessed the changes in me that would happen in just 4 weeks. I did a 180, I’m leaving healthy, happy and ready to finally start living the life I have always wanted. The staff were all AMAZING, the food was SO GOOD, the massages were awesome. Everything was great, worth all the money I invested. There is no way I would be where I am right now if it wasn’t for the help I received at the Chopra Center. I am forever grateful for this experience! The Chopra Center offers a safe and comfortable experience that allows healing to begin the minute you enter. Your journey to wellness is nurtured with a healthy diet of vegan/vegetarian meals that cleanse the body, which allows your body to fully open to recovery. Introduction to yoga and meditation is yet another vector to self healing, facilitated by amazing instructors. If you’re willing to show up, lean in and do the hard work of facing your deepest fears, feeling them, questioning them, investigating and observing their significance and validity in your life, then letting go, you will reap the greatest reward. The everlasting in being ever consciousness ever bliss. I came to the Chopra Addiction & Wellness Center needing help for depression, life long anxiety and recent burnout. The therapist and staff are amazing caring individuals that truly believe in kindness, care and support of each guest. During my time at the center I found a very enriching wholistic approach to wellness that I believe would be the best in Canada!! I would highly recommend the center, to family and friends and anyone who is interested in their own wellbeing. My experience from when I first called the center was very warm, kind, respectful and professional. Walking through the front door after a beautiful drive, I felt welcomed and safe. All my interactions throughout my personal journey at the Chopra Center have been exceptional. With authentic care and support, my healing moved quickly in the short period I was here. I cannot thank you enough for guiding me on my path to wellness, self worth and peace. You have provided me with ‘tools’ and amazing techniques that I will treasure. This was a life changing experience. Thank you. The center is an amazing place. I felt comfortable from the first time I made contact with the center. The love, support and compassion found here way exceeded my expectations. You feel heard and the staff will do their best to meet your needs. As a medical professional with an interest in treating addictions, I came to realize that I could not treat myself. Knowledge, in and of itself could not create abstinence. I had to allow for the acceptance of body and spirit to set me on the path to freedom. Forgiveness of the past, gratitude for the present and joyful hope for the future. The superb staff of the Chopra Center and the wonderful support of the other clients guided me to the divine being within myself. I am very grateful to have been so fortunate to experience my journey with such incredible staff at the Chopra Center. I have learned so much during my time here. I would definitely encourage anyone who may be interested to take a leap of faith and trust in this process. It truly changed my life. Making the decision to come here is an extremely challenging choice to make. Coming to the center reinforced the need we all have some time for rest, community and support. My time spent with the therapists has been extremely beneficial and their patience and empathy made me dig deep in a safe and loving environment. My spirit has definitely become light and I have the start I need to continue my journey to a happier and healthy life – not to mention the beautiful surroundings and gourmet food! I have loved my time here. Being here at the center I have found my power which I thought I have lost. Over the past six weeks I feel like I also found myself, which I totally forgot who that was. The staff here is wonderful, happy to talk to you anytime about anything. I have found a good sense of home here, in myself which I am so excited to bring home. I can’t imagine who I would be without the center. It has taught me a new way to look at the world, and a new way to look at myself. I will always be so grateful for my journey here. I will always carry a piece of the center with me. I had a great stay at Chopra Addiction & Wellness Center. The staff is amazing and helpful. They have a great program here that could be beneficial to anyone, any stage in your life. When I arrived at the Chopra Center I was crying and felt so lost and sad. Sonja met me with such kind words and made me feel so much better in the first few hours here. Ii at first had booked 2 weeks, but while I was here changed my stay to 3. The staff here are all incredible from the therapist, to the chefs and housekeepers! I am leaving the center feeling excited to put into practice all the amazing tools I have learned here to cope with sad times and anxious moments. I highly recommend this center, you will definitively learn so many valuable tools to use throughout your life. Excellent place to come find yourself and get your life to move to the next stage of true happiness. The Chopra Addiction & Wellness Center is a beautiful blend of mindful practices, science based mixed with body based therapy and a team of exceptional staff. I found my six week journey here to be mind blowing brutiful (brutal & beautiful). I feel as though I’ve been reborn. I feel light in my steps, lighter in my soul and an all around more joyful mind and body. This was one of the hardest choices I’ve made with the most glorious ending. You will not be disappointed if you choose to give yourself the gift of healing. I was so lost and hurting when I came to the Chopra Center. I was nervous and scared, didn’t know what to expect. Within 24hrs I was feeling comfortable and ready to start my journey. I began to feel love and support. I was being seen and heard. These things I craved so much were finally coming true. Through the people I was surrounding myself with, staff and friends who were also on a journey, I found the courage to be me and be accepted. I found confidence and was able to heal years and years of gut wrenching trauma that Had been locked away. I can truly say coming here changed my life, mind, body & soul. I will forever be grateful to everyone I met along the way. The moment I arrived it felt like home. Everyone I meet extended kindness and compassion. The lush and tranquil setting provide an enchanted backdrop for the deep healing that was about to unfold within me. If you were to imagine fully immersing yourself in the depth of kindness and compassion, nurturing body, mind and spirit, gently clearing and cleansing old pain and wounded pieces of your heart and soul. Restoring your entire being to the radiant you within. Your guides are here from therapy, to yoga, massage, amazing vegetarian cuisine, meditation, education, and extraordinary natural beauty support you to connect with who you really are – an amazing human being. My life will be forever changed, as will all the people I touch. I am deeply grateful for this most precious gift. Coming to the Chopra Addiction & Wellness Center is the best things I have done for myself in a very, very long time. The staff is kind and supportive. While I totally support the mission of this center, I don’t feel I can adequately say in words how much this experience is of benefit to anyone struggling with past traumas. I am so grateful for my experience here. The deep level of healing that is provided is powerful. The land, the food, the therapist, support workers, yoga and meditation teachers, body work therapists, truly all of it has created a space that is sacred and safe to unravel and process what needs to be addressed. Thank you. When I arrived at the Chopra Center both my emotional and nervous systems were raw and sensitive like a wounded soul. The 6 weeks that unfolded nourished me internally and external. I quickly realized that I was in a special place that would lead me to discover the pure essence of self care in a very supportive environment. The staff were all so thoughtful and caring and attentive to my needs. The food was prepared by creative and passionate chefs skilled in Vegan & Vegetarian foods with fresh fruit and vegetables. I left feeling whole and rejuvenated with new found love and zest for life. Before coming to Chopra Addiction & Wellness Center I was an empty person grabbing at anything that would make me numb. At Chopra I was able to t rediscover myself and come to terms with my traumas in a safe environment. Thank you Chopra! I am ready to live a beautiful life. The Chopra Center helped me to see things that were happening in my life in a new light. I realized why I was making unhealthy relationships and behavioral choices and gained the tools I needed to pave a new path with healthy bricks. I gained the confidence I need to stand up for myself and make healthy changes in the way I was relating with myself and others. I would highly recommend the Chopra Center to anyone seeking to embark on a healing journey. When reading testimonials about the center before I came, I didn’t understand how one place could have such a tremendous changes on an individual. Now I do. My time here has been indescribable. The people that I’ve encountered on my journey, both staff and patients, have been more than pleasant and impactful in my treatment. The new knowledge instilled during my time here includes tools and skills that will provide huge long term benefits. The space is more than safe and comfortable, positive and humbling. I feel so grounded leaving the center and I can’t wait to implement my newly acquired knowledge into my daily life. I wish that everyone blessed enough to come here takes that step. I have immense gratitude for the CAWC and all the people that I have met here. I came to the Chopra Wellness Center for PTSD. I spent 4 beautiful weeks at the Chopra Village and loved it. The property is breathtaking and the holistic, creative approach to healing was perfect for me. I enjoyed psychodrama, are therapy and the music appreciation the most. The Chopra Center felt like home, the food was amazing and the chefs were very accommodating to my allergy needs. I would recommend this center to everyone. Honestly, what helped me the most was knowing that all of the other guests were there for the same reason I was; wanting a healthy change. It made it very easy to connect with others at the center as well as make me feel safe when sharing my trauma or personal thoughts. The staff at the center were also simply amazing. Their patience, fierce gentleness and openness was very beneficial for me being at the center for 6 weeks! This place and the staff, it’s unique. Their own particular point of view, it’s so different you can’t not be struck by that. I’m so grateful to finally re-found myself after so many years of suffering, darkness, selfishness and shame. What happens here is just the start of a beautiful journey and now the now the path to follow is clear, the way, it’s been traced. I won’t lose myself again. The staff at Chopra come from a place of expanding love. Initially it was hard for me to come here. I was physically, emotionally and spiritually exhausted. Due to experiences in other facilities I was afraid to come here. However, it has been such a blessing to be with people who have accepted m totally and unconditionally, who have been with me in love and compassion throughout my journey here, and who have helped me discover a new depth to my being. I have moved from a state of fear and exhaustion to a state of peace and purposefulness. I feel extremely lucky to have been able to come to Chopra Wellness Center. The staff and therapist’s were extremely comforting. I would recommend the center to anyone looking to better their life. I came to the center to love myself and to balance out my moods. For years I struggled with self love and self care. Coming to the Chopra Center was the biggest step I’ve every taken. It was so scary but within an hour of being here I felt safe, like people actually cared to hear what I had to say. I only stayed a short 2 weeks but in that time I became the mom my soon needed and the woman I’ve always wanted to be. My decision to come to the Chopra Addiction & Wellness Center was on of the most nourishing choices of my life, yet it was so hard at the same time. I was drinking to ease the discontent in my heart and I soon became aware what I was doing was not working anymore. I knew I needed to immerse myself in deep soul work. The yoga, meditation, healthy food and therapy especially group therapy brought me back to my heart and soul. I was reminded of who I am gently, kindly, compassionately and with strong support. All I needed to do was show up. I am forever grateful for the blessing of being able to come here and do the deep soul work offered. With peace and love and a grateful heart. While at CAWC I completely rid myself of poor choices and regained the ability to look at life and what it offers me from a different, more balanced mindfulness. I now enjoy the joy and inner fire of my individuality and that it is “OK” to love oneself. I now know that the way I interact with others in a true reflection of how I want to be treated. Love, kindness, silliness, peace, respect, affection and animation. I also found that my life is not two dimensional, that I need balance of mind, body and spirit through mediation, yoga, diet and fun. The staff are mindful experts and super caring. Food was exceptional . Interactions and group sessions unbelievably rewarding. I plan on seeing my CAWC therapist (awesome) Time at CAWC “flies” by – the ultimate and safe home experience. I came here with addiction to opiates and my body had started to be racked with health issues because of my addiction and stress in my life from hiding my addiction from all those that love me, as well as trying to maintain a career and not trying to let my addiction affect that. Heavy with secrets I barely made it through the doors to the Chopra Center. Everyday here was a gradual progression, leaning new and amazing things focused on health and wellness, body, mind and spirit. It did only take a few days fro the fog to lift and let the energy of love and nurturing to bring a light into my heart and soul. Practicing yoga and meditation daily helped with that immensely, but so did the group – both of men & women here on their journeys to wellness as well as all of the facilitators here serving us with their genuine smiles and their exuding a life well lived with these healthy practices. The facility is located in a lush green rainforest and the trees and wildlife here speak volumes too. I am so grateful to feel alive again. I will take every ounce of this place back to my home with me. Thanks everyone! I came to Chopra broken hearted & battered. I truly didn’t think I was going to bounce back from my state at the time. This program is absolutely beautiful It truly has been a miracle in my life. I’m grateful beyond words for Chopra. The staff is amazing and the methodology can apply to anyone looking to better their life. Whether that’s lack of happiness, anxiety, depression, substance abuse etc. I will forever cher8ish the moments I’ve had here. I am leaving happy, comfortable and beyond excited for my future. Life changing experience, amazing, knowledgeable, supportive staff and care givers and therapists. Holistic approach treating mind, body and spirit. Healing, pop up village, wisdom for any and all of those who have experienced a “Falling Upward” moment, as described by Richard Rohr. I struggled for many years trying to pinpoint reasons and root causes of why I continued to participate in destructive behaviour to no avail. Chopra gave me a blissful alternative – to start with self-love by somatically processing and working through trauma to forgive and understand myself and showing me that I was simple doing the best I could with the resources and information I had. I now know there is another, more peaceful and more genuine way to be in the world – a way that honors the gifts I have while supporting the wellness of my community (myself included) The support staff are outstanding and are truly agents of healing along this path to greater acceptance of self and love for all. This place changed my life and I would recommend it to anyone and everyone. Life can be hard, full of ups and downs. So many loose their way on life’s journey, CAWC is a very welcoming and heartfelt. So much support and knowledge to help your find your way or yourself, I would 100% recommend CAWC for all ages. My experience at the center was one of the most healing of my lifetime. The atmosphere is warm, welcoming and joyful. Although the work we come to do at the center is in many cases extremely difficult, the staff at the center assure that the space is a safe and comfortable place in which to do the work. The food is glorious; the grounds are not only lovely but sacred first nations land and as such are very healing. The therapists are very knowledgeable, compassionate and skilled. I really could not have asked for a better experience. I am grateful. My experience at the Chopra Center has been amazing. From day one I felt comfortable and welcome. The staff goes above and beyond. They are basically family to you!! I suffered for 2 years with anxiety, depression and PTSD. I also had sleep issues, all from grieving the death of my only two brothers in 2014. I tried everything, from counselors, psychiatrists, different doctors to different medications. Nothing truly worked. Things seemed to get worse. I wanted to try the natural holistic way, so I did some research and found the Chopra Center online and just knew this was the place for me. I spent 4 weeks here and this was the best decision I have ever made in my life. I no longer suffer from anxiety, depression or sleep issues. I am completely off all medication. Most of all I am no longer angry or frustrated. I have my life back. I am free and happy and ready to enjoy my new found love for life. Thank you so much Chopra Center. I came to the Chopra Wellness Center because I need to shed a lot of negative experiences which in turn has caused me to lose all passion for things that used to be very important to me. I was also experiencing anxiety and depression. I spent 6 weeks here at the center where I received the care and compassion I needed to move forward in life. All of the wellness center team is exemplary in every way and I received top notch therapy every single day. My time here at the Chopra Center has left me feeling healthier and happier than I have in years and my ambitions and passion for life have been restored. Amazing place that teaches you how to live a balanced harmonious life. Amazing staff. My time with Celeste, Neil, MTK, Jeff was instrumental in helping me understand myself. I cannot thank anyone enough for their help and support. I am so grateful for this incredible center. It has been such a gift to be here and has taught me the tools and skills towards a very healthy future. Thank you for helping me process this difficult time in my life. I came to the Chopra Center to heal my broken spirit, to find love for myself and heal old trauma wounds. I have done all of this and more. The 28 days spent at the Chopra Center have been the greatest of my life. I have never felt so empowered, strong, vibrant and loved. My heart is incredibly grateful for this opportunity. I would like to thank my son, his girlfriend and my husband for caring enough about me to be instrumental in getting me to the Chopra Center. I was suffering from depression and my life in Chaos as I turned to alcohol to suppress the depression (DID NOT WORK). The Chopra counselors, staff and Nirmala were there for me 24/7. The environment is special and walks to the river are a must do. I became whole, visible, seen and heard again with the loving care and knowledge of all the staff at the Chopra Center. The other guests and myself became a nurturing village with each other. The food is more than amazing and the yoga and meditation does wonders for the mind & spirit. My soul was broken and now after 3 weeks (I suggest 4) I am in the sense of being again. Coming to the Chopra Center has been a life changing experience. I learned so much about myself and gained the tools necessary to live the life I’d always dreamed of. I had never understood the power that the mind has in our capacity to heal ourselves. The Chopra Center offers a well rounded program to support all of your needs. The staff are there to help you on your wellness journey. I Gabriel Grenier find the Chopra Addiction & Wellness Center to have been instrumental to getting me back on top of my game. The center has given me new tools to move my life into a more proactive way. I sincerely recommend this center to other business entrepreneurs and CEO’s. This knowledge, I have gained will be priceless in my new chapter of my life! Thank you to everyone at the Center. I came to the Chopra Center on intuition and with the knowledge I had to make change in my life, for my health, well being and personal relationships. Being here gave me more than I imagined or hoped for. All of the staff are wonderful, caring and very supportive. I learned so much about myself, my addiction and the roots of it and learned skills to manage my life, brining home with me the tools I need to continue in positivity and love. What a healing and amazing place the Chopra Center is! Coming here I could not have imagined the growth and change that would take place. It is not easy to pin point one thing contributing to my feeling of enlightenment because the whole program; from staff, food, classes and mind, body, spirit emphasis, all have worked together to put me in a place where I feel love, joy, happiness and excitement again. Words cannot encompass the gratitude I feel towards this program and the center. I would vouch with my whole heart the healing powers of this community. From the moment Celeste picked me up at the Adventure Center, I knew I was on a magical journey into “me”, total unconditional compassion and non judgement. My shame faded day by day as I leaned into my addiction and harmful habits. Understanding how my psyche responds and processes information has been very enlightening. Understanding this helped me move through the myriad of scarry emotions and transform them into more empowering emotions and actions. When I arrived my nervous system was shot! I suspect I was having or had a nervous breakdown, I was frozen in a very sad shameful scared state. This has changed big time and I feel much better, lighter, calmer more centered and more hopeful. I have my life back thanks to the Chopra Center and all my hard work and trust in all. The Chopra Addiction & Wellness Center changed my life. I came here to learn how to cope with my debilitating depression and am leaving a fuller person than I every imagined possible. The unique experience offered here is diverse, eye-opening and filled with love and support. The magic of the center and people you meet, from other guests to staff members, leaves a mark on your soul that will forever change you. The learning I have done here is so powerful that I have been able to access my higher self and can now live a life I never knew possible. I have been nurtured back to health. I came to the center in rough shape, emotionally, physically and burnt out. I initially planned for 4 weeks and after two weeks, I extended my stay for a total of 6 weeks. I have been so well supported here, the level of support and diligent care has been amazing. This is a very nurturing environment; the staff, the food, the daily rhythm, the physical location, all the various therapists – are all very gentle yet positively impactful. I have become much clearer. I have re-connected with myself, regained my power, recognized and started the important work around healthy boundaries. One of the most important things I gained is re-kindling a lover for myself. I am excited to take away my daily ritual for my body, spirit and mind. Some of the work is subtle, but through incorporating the teachings in a daily practice, profound changes occur. I highly recommend the Chopra Wellness Center in Squamish. You will be very well taken care of. My personal experience here at the Chopra Wellness Center has been a short, but long journey into developing a relationship with myself and others my stay connected me to nature, the animals and began to rebuild my trust with people. Like minded people as well with family and friends. My health accelerated by the wonderful food served, and the ability to go out on these adventurous walks surrounded by trees and snow capped mountains. The compassionate and loving staff went out of their way to make my stay as comfortable and supportive as possible. What a wonderful experience to have. I came to the Chopra Wellness Center to overcome my addictions and destructive behaviours as well as to find some inner peace. In 4 weeks I have accomplished all that and much more. The staff, therapists, yoga instructors, chefs are all just amazing people of the highest caliber in their field. Just about every single day I was amazed by not only the work we do, but how intelligent, attentive and loving these folks are. I came here nervous and shy, but after the first day I felt the warm embrace of the other guests and of course all the staff. I feel like we are all one big family. I would highly recommend the Chopra Wellness Center to anyone looking to bring some light into their lives. This experience has opened my eyes, heart and spirit to a new way of living. I am so grateful that I came here, it was a one of the best decisions of my life. This place is incredible! I had no joy or happiness in my life. My idea of giving love was worrying hard for my family and always planning for the future. I was not present in the moment so my relationships with my loved ones suffered greatly. A family crisis drove me to the Chopra Wellness Center. I arrived a broken person full of pain and lacking a sense of who I truly was. By committing to do the hard work on myself and learning the tools and new ways of living my life, the experience was life changing and transformational. You owe it to yourself. Enjoy the ride. My soul has healed and the journey to happiness and freedom begins! I never thought this was possible before coming here. The therapists, support staff, & chefs are world class. You will find peace here! Ive tried multiple realms of therapy and treatment centers and I am so grateful I found the Chopra Wellness Center. I love life and myself again! I came to the Chopra Wellness Center as a one-week guest. I came here for emotional clarity in my life and I found it. The previous meditation and study of the Chopra Curriculum was an excellent base but I needed incorporation. I found my clarity through the profound incorporation of related activities like therapy, mediation, massage, yoga and more. This program worked for me. My only unfulfilled experience is that I needed one additional consecutive week. I’ll be back, but do two if you can. The Chopra Wellness Center is one of a kind with an excellent curriculum, incredible staff and management. Put your whole heart into the experience and growth will come beyond your expectations. I arrived at Chopra at a very low point mentally, emotionally and spiritually. My nervous system was fried from months of insomnia and trauma. Over the course of the weeks here I found myself becoming more grounded, open, light and peaceful. The holistic approach brought me back into my body, calmed my nervous system and gave me new tools to work with my thoughts and emotions. I feel like I have a foundation now to go forward into life in a new way. I am so grateful for my experience at the Chopra Center. In my time here, I was able to shift from a place of complete despair and sadness to joy and love. I’m excited to now be able to step into my life with freedom and with the tools to keep me there. To express my 4 weeks here, the best words “much better than expected”. I really didn’t know what to expect, the staff, the vegetarian food, the group sessions, the actual guests – just an outstanding experience. Paradise Valley is special. This is the place where your soul catches up to you in complete harmony with mind and body. Chopra Addiction & Wellness Center tucked in a small town north of Vancouver is a place of miracles. The approach to addiction and well being is a smooth running engine filled with love and understanding. Groups are small, well organized and based on changing the thinking of guests through building of feelings of self worth and tools to control the addiction… and guests return, as I have for one fruitful week of centering and camaraderie, supporting my quest for happiness and oneness with the universe. The CAWC is truly in a league of their own. Their diverse staff, curriculum, and tranquil surroundings provide a healing experience that is rivaled by none. From the moment you arrive you can feel the “magic” and that feeling grows with every passing day. The CAWC helped to bring life and love back into a soul that was lost in addiction. I chose the Chopra Center to help me deal with my self-destruction, addictions and emotional issues I have suppressed for years. My reason for choosing it were the holistic approach to self health. I had high expectations coming here and they were all fulfilled and more. From the moment I arrived here it just felt safe and very calming. There is a wonderful energy here. All the staff is out of this world and I could feel all the care and love they have. Through teaching of mediation, yoga and group therapy and individual therapy I was able to over come and learn so many things about myself than I ever could have imagined. If you find your self struggling on the path you are currently on this is the place to restart and learn the proper tools one needs to have a loving, happy, truly authentic life. No matter where you are at in life I believe this place can help. Even the greatest person can become better from an experience like a stay here. It has changed me and I am very thankful for everyone here that helped me find myself again. My weeks at the Chopra Center changed my life. I was so confused, lost and numb before I came. I had been living like this for so many years, didn’t know who I was or what I wanted anymore. Life didn’t hold any meaning, I was just existing. After trying various ways of shaking up my life so that I could feel again, my family suggested that I go to the Chopra Center and I said yes. Thank God! I was so tired and empty and needed a little push. I’m so grateful… I was able to rest and feel safe while I was gently guided through ways to help myself and received wonderful therapy and love, with no judgment. I am not only a new person, I’m improved. I recently spent 5 sessions working with Neil and was very satisfied with the process. He proved to be very intuitive and although it was primarily on the phone (1 Skype session) he was very good at identifying ways I could look at my situation and be more authentic in my responses to my partner. My initial concern was to better distinguish between support and enabling and we resolved that well. Thanks Neil. It was a inspirational, healing and beautiful experience at Chopra. I will never forget anyone I met, everyone was warm and kind. I came to the center with no hope and full of self loathe and shame. I spent most of my adult life battling alcohol addiction and depression. I had hit rock bottom and when I got here I as ready to change my life. His place gave me the tools and brought me back the path of self love. Through out the month here I had a really hard time but eventually the work started showing me the pin hole of light in my darkest moments. I leave here ready and willing with hope to maintain my sobriety along with a new found love for nature, self care and a deepened compassion. I have a learned to let love in and receive support, find connection, intention and attention… I can see my capacity for being the worthy person I am meant to be. This is truly a supportive and compassionate healing center. The holistic approach ensures dedication of mind, body and spirit and understanding how important all parts are to being happy and healthy and whole. Back home I was too stressed out. I was abusing a lot of drugs and alcohol. When I came here I felt more at peace. I felt a whole change in my body, mind and spirit. Before I came here I had completely retreated from life. The logical next step would have been suicide. My husband suggested that I come here and give the program a try. It took 2 weeks to defrost from the “frozen state” another week to enjoy the true feeling of joy and what a day that was! My last and 4th week was like a flower unfolding. Each day brought a new revelation and more knowledge to benefit my life. I’d wholeheartedly recommend the Chopra Addiction & Wellness Center. The Chopra Center is like no other place on earth! The mind body nurturing and enlightenment through a rich and purposeful process is life changing. The staff is comprised of caring, compassionate professionals who help each guest reach new heights in their personal and spiritual journey. Coming from a minimal smoker & life long insomnia it is so worth it. To quit smoking prior to checking into the center & to get on a sleeping schedule! Just had to share how beneficial it be. I loved my experience at the Chopra Addiction & Wellness Center. It felt like a safe place the day I arrived. I mostly liked being in a home environment with other ladies to share with. It was relaxing and inviting. The food was amazing. There were plenty of activities to keep me busy or I could choose to relax. Being surrounded by nature allowed me to heal at a much faster rate. Having made the choice to come to the center has been one of the kindest things I have done for myself. After spending 2 weeks at the center, I feel I am ready to explore my full potential and become the person I always wanted to be. I came to the center because of severe family events and decisions that overwhelmed me with pain. More pain than I could handle. I was in severe depression and believed the situation was hopeless. I am still feeling emotional pain but I have learned tools to help me deal with the pain and tools to assist me in looking at the situation differently. I am reconnected with my family and we are taking baby steps. I do not know my future but no longer feel hopeless, I realize I have choices and that I am responsible for creating my own happiness. Before I cam here I had completely retreated from life. The logical next step would have been suicide. My husband suggested that I come here and give the program a try. It took 2 weeks to defrost from the “frozen state” another week to enjoy the true feeling of joy and what a day that was! I chose the Chopra Addiction & Wellness Center as a place to come for a one week retreat to learn new tools to being well and handling my stress. After speaking with intake therapist and much consideration, I was able to convince myself I had one shot at healing my heart and soul. Wow, what a surprise when I went from one week wellness to the full 28 days to heal my sadness, release my anger and learn self-love and self-care. The staff here is by far the most positive, kindest, compassionate, empathic, loving and funny group of individuals one wil ever meet. They bring their heart with them every day when they show up for work. They allow you time to heal, to ponder, to ask, to laugh, cry and they respect your need to privacy knowing we will share when the time is right for us. The therapists guide us with their gentleness and expertise and allow us to lead in our wellness walk. They encourage us in our challenges and cheer us when we accomplish our face our fears. They are knowledgeable and kind offering us weekly homework that allows us to reach our goals we set with them. The food is healthy, amazing and it provides us with an introduction into the Ayurveda lifestyle. Yoga and meditation are an integral part of daily living while staying at the center. All three of these are life changing as they offer us an opportunity to become healthier. Yoga and meditation allow us to go inward to see the beautiful person we all are. I leave her with many tools in my tool kit; self-love; compassion; conscious communication skills; inner peace / confidence and the ability to tackle situations that in the past made me unsure of myself. I can live my life in love rather than fear now. I will carry this sacred home with me because if now lives within me. After two abusive relationships, I developed severe depression and anxiety by the time I turned 22. I could barely sleep at night, I turned to substances to self medicate, I didn’t have a routine… I lost complete and total touch with myself. I decided to take a leap of faith and come to the Chopra Center. From the second I walked in I was in awe by the warmth, support and genuine kindness I received from every staff member and guest. It was like all judgments were left by the door. By the end of my first day I felt like they were my family. After 4 weeks, I developed and aquired skills that I will use for the rest of my life. Some include self-love/self-care, developing and maintaining boundaries, awareness of the my thoughts and emotions, coping tools and most importantly for myself the art and practice of meditation. I walked in here a broken girl with a broken soul. I left here a confident woman with a rejuvenated soul. My hope was restored. The Chopra Addiction & Wellness Center will forever be my heaven and my blessing. I was reluctant to come at first. During my stay I felt very comfortable at the center. Made what I feel will be life long friends. The staff was very nice, professional and helped me a lot. The food was awesome. I would highly recommend it to everyone. Pool visit would be good to increase. It’s amazing the changes that occur if you keep an open mind and stay committed to the process while you are here. When I arrived I would have never expected it, but for the first time I feel sure and excited about who I am. My time at the center has been transformational. I cam here lost and the program provided me with the support and tools to overcome my inner turmoil. If you are focused and are determined to get better this is the place to be. It’s a beautiful center with beautiful people who are all only concerned about your well being. I am leaving the center a changed man. I had been researching the Chopra Center for some time before I made the decision to go! I look back now and think what was I waiting for! I found my happiness (which is me) my strength and how to make healthy choices instead of reaching for alcohol! My life will be forever changed from being at the Chopra Center. I can not say enough about all the caring and supporting staff without whom change would not be possible! When I arrived a the center, I was a shell of person. There was no hope for the future, I could not find myself in the darkness. The center staff nurtured and supported me every step of my journey. Showing me love and joy throughout. The center showed me there was a light within me just waiting to shine. A light I soon came to recognize as my own. I can now say I can see the light and beauty I possess has been there all along. I am whole. I am love. I am a man of strength and compassion for myself. I’m so grateful for the center and all the staff. This has been an amazing, eye-opening, unforgettable and life changing journey. I have a new perspective on life. I now have hope and love for myself that I never had before. I know self care and what it feels like to nourish the mind, body and soul and how important it is. I’ve gained a huge sense of balance and flow in which I had lost. I’m so fortunate to have had this opportunity to really look at me and who I am and how I tick. I recommend this experience to anyone and everyone. I’m so very thankful! My stay at the CAWC was amazing. With the help and support of all the staff I was able to get the tools I needed to cope with my addictions and other personal issues. I was able to really open up in a great group setting which helped me share so much more than I thought I could and get down and find the root cause of my issues. I have met so many great people along the way and I am so very grateful for all of you. I felt that 6 weeks was perfect. 4 was good, but I found myself at a spot where I wasn’t ready to leave, 5 weeks got me that extra support and feeling of well being and the 6th week was another great week to get the extra support and it allowed me time to relax and get ready to head on my way and I wasn’t feeling rushed, anxious or stressed about it. It was that extra time that I needed and I knew I was ready. I was overwhelmed by the love, care and genuine compassion shown to me from each and every staff member. I feel anyone could benefit and grow from being a part of this wonderful retreat. I appreciated all the support staff and therapist as they shared also in group therapy. It definitely takes down any barrier you may feel showing everyone is human and has feelings, hurts and stories around them. The Chopra Center for Addiction & Wellness is a deeply healing place. So special in terms of content, approach and staff support. I researched approaches and prices and I know that this center is one of the best approaches (for me) and is priced lower than many others. The people at the center are uniquely compassionate and caring. Their approach is gentle, taking the whole person into account and healing not only addiction issues, but underlying traumas and distortions as well. It is a whole person, whole body healing journey in a beautiful natural setting. I love that we spent so much time outside in nature! When I first arrived I was struggling with depression, insomnia and destructive behaviours, but right away I felt safe and welcome at the center. The staff here changed my life. The passion for wellness and compassion I received during my stay moved me through one of the most difficult times in my life. The routine is so reliable and carried me through any and all cravings – I hardly felt the urge to smoke at all. The therapists and support staff are so skilled they brought relief and understanding to my traumas. After 10+ years of insomnia, I’m finally getting a good night’s sleep. My experience at the Chopra Center has been deeply transformative for my life and I felt safe again for the first time in a long time. I recommend this experience to all those who are dedicated to their healing and wellness, as the program here will facilitate a life changing experience! Many thanks to the team here at the Chopra Center!! Wow! I sincerely mean that. I could not imagine how rewarding and healing the Chopra Center could be! I came here thinking that I was going to be dealing with a certain issue, but left here having dealt with the root of the problem which I learned had manifested me to become the person I had become when I arrived at the Chopra Center. Now I am leaving here being the person I was born to be. I came to the Chopra Addiction & Wellness Center to find a natural and healthy way of working through my trauma. It not only helped me work through the grief, but it also helped me find true happiness from within. I recommend the Chopra Addiction & Wellness Center to anyone regardless if you are battling addiction and/or trauma. It is a clean, safe and healthy environment that encourages important lifestyle adjustments that can undoubtedly prove to leave a lasting effect for the rest of your life. Everyone needs to experience the magic of the Chopra Addiction & Wellness Center! The Center is a wonderful, warm, safe, nurturing environment where support is provided for your whole being. Daily yoga, meditation, group and individual therapy helps to redirect your life away from negativity and worthlessness toward a more positive way of being which includes self-compassion, forgiveness and self acceptance of your humanness. I came to the Chopra Center for 5 weeks and the experience was amazing! The support staff, therapists and chef were an amazing group of people that I felt I was in a safe and loving environment and free to begin my journey of self-awareness and self-love. This treatment center is truly one of a kind in terms of the services they provide! The massages, food and acupuncture services are all wonderful surprises here. This place is so good I wasn’t sure I wanted to leave! I will always have a little piece of this place with me for the rest of my life. Thank you!! The Chopra Center is a welcoming place full of compassionate, caring people who truly care. I found myself again thanks to the Chopra Center. I can’t explain what it feels like when you remember who you really are inside after so many years of living under a cloud. I began the healing process and I started to love myself again. Yes, yes, yes…I’m alive! No longer stuck inside myself, I am walking forward with my head held high. I had help me to break the walls. I had been trapped in for many years. It is true it is only one life to live, this one in this moment. Found my voice, magical healthy place, caring staff, healthy food. Go ahead! What’s taking you so long! I have been to a treatment center before coming to the Chopra Center; needless to say it is like none other. Words cannot describe the level of treatment and wellness you will receive. Every Chopra staff member goes over and above to make sure you leave here with every tool you need. This has been life changing for me and I am so blessed to have found the right center. And the food! Is like none other. The center is an amazing place for healing and self growth. The staff, environment and area bring out the best in people. It’s amazing the work we are able tot do with our therapist and in group. I personally never got anything out of therapy until the therapy I received here at the center. The river, the fire ceremonies and just the atmosphere here has allowed me to make the changes I came here to make. I have been to other treatment centers, including the more expensive famous ones, and this center is hands down the best in the world. It’s amazing the talent Nirmala, Jeff & Celeste have been able to bring into one center. The food is amazing and I was a very picky eater and non vegetarian. The routine that is established with yoga, meditation, nutrition & wellness will last me a lifetime. The centre provided a balanced, supportive atmosphere which facilitated real opportunity to change thoughts, feelings & behaviours. My thanks and praise go out to the whole staff from administration to kitchen staff. An amazing 6 weeks of wellness. After just a day, the Chopra Center felt like home. So much love, warmth and kindness from the staff as well as from fellow guests. A true union of mind, body and soul. I noticed myself growing stronger and more confident with each passing week. Thank you Chopra Center. Before I came to Chopra my life was unimaginable, I was severely depressed and I could barely function. Now after only four amazing weeks I am happier than I have been in years. The support staff go above and beyond to make sure you’re comfortable and feeling safe. I couldn’t possibly say how much my life has improved and I’m grateful for my time at Chopra. If you wish to face the music, join the band! To summarize my life before the Chopra Center: it was lonely, depressing, full of anxiety, isolated and full of unhealthy habits and behaviours. Then, to summarize my experience at the Chopra Center: it was uplifting, enlightening, community, supportive, health and an amazing place to find my way back to myself. Overall, it has been the best gift I ever gave myself. The things that are taught here are so powerful and magical that they can’t even be described in words. I love every ounce of this place! Going to the Chopra Center was a terrifying decision, but one that has changed my life. No other wellness or recovery program offers the variety of skilled practitioners and therapists integrating mind/body wellness. The cutting edge of neuropsychology insists ore and more that a full (and somatic) approach is crucial to achieving wellness. The staff is not only well trained, but extremely compassionate and supportive of the guest community. I am so grateful to have had the opportunity of experiencing that loving, supportive community few of us have known. I will definitely stay in touch! Chopra Center helped me with grief and loss issues. I was led back to my mind, body and soul through yoga, meditation and therapy. I no longer have pain in my body or heart. Love, love it here. I found my time at the Chopra Center as invaluable. I came with a goal in mind and that was to pull all of the other mental health work together with a sense of purpose and integration. The staff were all very accommodation to my needs and I felt 100% supported as it related to my mind, body and spirit. My experience at the Chopra Center has been invaluable. I learned more about myself in six weeks than I did in my entire life prior. There is something so special about the center and the supportive community has played an intrinsic role in my healing and success. In an ideal world, everyone would be required to come to CAWC as it provides exponential amounts of personal growth and self discovery. I am eternally grateful to the staff for their passion and dedication to changing lives. The wellness center has changed my life! The support, the food, the energy, thank you. The holistic healing approach provided by the Chopra Center saved my life. The nurturing, supportive staff enabled me to work through some serious issues that I have been harbouring for way too long. The setting is breath taking, the programming is bang on and most of all the entire staff were there to help me grow as I continue with my life journey. The Chopra Center was a life changing experience, and I don’t use those words lightly. I had tried every western modality of treatment, including almost every class of psychopharmacology and many years of individual psychotherapy (to no avail). The integrative treatment applied by all the staff here has been the most transformative approach I have tried. Every single person here genuinely cares and is very supportive. They really do good work at the Chopra Center. To be honest, I was very skeptical that they would be able to help, but I have been very pleasantly surprised. After 4 weeks of hard work, I can confidently say that I am in a very different place. I was suffering from severe depression and anxiety when I entered and I now feel that I have so much to live for. Come here with an open mind and heart and you will not be disappointed. The center has supported my growth through positive experiences with meditation, yoga, group therapy, individual therapy, proper rest and nutrition in addition to art therapy, acupuncture and nature walks. The focus on self compassion and self love has made a tremendous difference in my life. The Chopra Addiction & Wellness Center was instrumental in enabling me to reclaim my spirit, my voice, and sense of joy. From the beautiful surroundings to the caring and nurturing staff to the amazing food, the center was a highlight of my life. I strongly recommend the center for any person, especially those who seek a deeper meaning and love of his/her life. Being at the Chopra Addiction & Wellness Center for emotional healing therapies for four weeks has simply transformed my life! Being a Chopra Center certified instructor in Perfect Health as well as in Primordial Sound Meditation, I feel infinitely better equipped to share these teachings with greater authenticity and compassion; having done the emotional healing work myself. I highly recommend at least a 2 week stay a the Chopra Addiction & Wellness Center for all Chopra/CCU certified instructors and vedic masters. The Chopra Addiction & Wellness Center changed my life. I am so blessed to have had the opportunity to learn from the center and change my life. I wish everyone could experience this very special place. The experience is beyond words. Thank you all…. My time at the Chopra Addiction and Wellness Centre was truly a transformative experience. When I initially applied I had in mind to come for two weeks but, understanding that it generally takes a minimum of 21 days to form a habit, settled on an initial three weeks thinking that this would entrench a daily meditation practice. I was fortunate enough to be able to extend this twice and have to say that my fifth and final week at the Centre was by far the most life changing. I was able to address and start to heal from age-old traumas that underpinned my destructive behaviour. I did this knowing that I was in a safe place, with the support of the extraordinarily caring staff and the fellow guests that shared my journey with me. I was able to find self-compassion and a greater sense of self. The extra weeks gave me more time to integrate all that I have learned here to leave feeling more balanced in mind body and spirit than I have in years. This is the best gift I could have given myself at this point in my life and I feel such gratitude for the existence of the Center and the wonderful staff. I am from central Canada, my experience here at the Chopra Center has been very positive and enlightening. The staff is very supportive. They do more than just care, they live the life. The staff is very compassionate and you get a sense that they are not just here to do a job, they really care and support you. The decision to come to the Chopra Center was one the best decisions of my life. I have learned so many valuable lessons and life skills that will last a lifetime. I especially love the holistic approach to addiction and wellness. The staff are gentle, caring and extremely supportive. There is a genuine interest in your wellbeing and their encouragement and support is beyond phenomenal. The center offers a safe and comfortable place to look at yourself and your life and make healthy and informed choices for the rest of your life! This is my second visit to the Chopra Center and I have to say it just keeps getting better. I plan to return again next year as I feel I will continue to grow and enjoy my journey! I know it totally helps to reboot my life and check in on what else needs to be addressed. It is such a well rounded program that I know most people could benefit from. Chopra was the best gift I could have received. My experience was so spiritual and gentle. I fell in love with myself and not by forgetting all the pain I had caused to myself and others but by forgiving myself. Not only did I heal my spirit but also my mind and my heart. The food was just a cherry on top of all the wonderful programs the center offers. I cannot express my gratitude enough. Thank you to everyone that was a part of my recovery. I arrived here feeling dull, dreary, bloated, unhealthy, disconnected and down. I leave with a feeling of brightness and sparkle, lean, refueled and open to opportunities and new directions. The center is a safe, positive place to work on your self. All the staff are kind, caring & loving. I have been here for 4 weeks, leaving today, sad to leave but prepared to use the new tools I have learned here to have a better life through compassion, love, understanding, kindness and peace. You cannot choose what happens to you but you can choose the outcome. An excellent setting for quietly slowing down and caring for myself. This place has the warm comfortable feeling I needed. I felt loved and supported every moment of my stay here. The staff love what they do and they are exceptional helpful, fun loving and kind. The program and the meals are amazing. The time I invested here has been very rewarding. I am grateful for this experience. What I noticed almost straight away is that the staff at CAWC not only talk the talk but they walk the walk. A group of people more compassionate, dedicated and caring to their guests I have never met. The nourishment to mind, body and soul is in large quantities here – particularly the body (the food is exceptional). CAWC is a beacon of light for many. This is a good place to do yoga and meditation. You can lose weight and do some healthy eating. I came here for a problem with alcohol. What I didn’t expect was the answer’s for many of the other problems that I have been dealing with for many years. I feel that I have been given the tools to carry on my life with a direction and fulfillment for me! P.S. Can’t say enough, hard to put into words, easier to be spoken for me. Coming to the center, I was lost and unsure of my life. Kept repeating bad habits and making unhealthy life decisions. I know I needed to make a change. I was not very spiritual, nor self loving. Chopra Center was the place for me to go. Not only did I gain the tools and knowledge to carry out in my life, but also gained peace and clarity. I have learned too that it is better to become a warrior and not a chief. Thank you to all who had input in my recovery journey! I love you all! I truly enjoyed my stay at the Chopra Center. It was always very supportive and helpful during my healing process. Here I was able to learn new coping skills that I was able to incorporate into my life on a day to day basis. I will always be thankful of the time spend here and will always have a piece of the Chopra Center within me. Thank you for helping me start living life again. Forever thankful. To reclaim not only my own truth, but to see the sparkle of life return to others eyes has truly been a gift. The staff are amazing! The holistic and heartfelt approach with which they apply the program allowed me to feel very safe and seen. I would recommend the Chopra Center to anyone needing respite from the business of their mind and the restlessness of their soul. Reawaken your true self at the Chopra Center. My name is Carolina, I am from Bogota, Columbia. Being at the Chopra Addiction & Wellness Center has been a wonderful experience. Even though I went to a different addiction program for 56 days 17 years ago I felt here I was treated with love, compassion and respect. I learned a lot about my inner self and I am taking home wonderful tools to use for having a happier life, not only away from drugs and alcohol but a more present, loving life. I will love to come back. Attending the Chopra Addiction & Wellness Center was the best gift I have ever received in my life. I learned “the secret to a happy healthy life” that every human being should have access to as a basic necessity to survive. My stay at the Chopra Addiction & Wellness Center was a life changing experience. I was able to work on myself and find out who I am in an amazing safe place. Thank you to all the staff here, you’re all truly amazing and loving people. I was very unsure about the place, but after I got there and got used to the food I started to like it. When I left, part of me wanted to stay. If I didn’t have all the other things in life to deal with I think I could have just stayed and lived my life there. My health is poor, some I caused myself. I have prostate cancer and I also have a disease called Buerger’s Disease. I had cancer when I was young and I had chemo therapy, but even with all that my stay in Squamish was very good. I have to be honest but with all that going on in my life it is very hard to concentrate on anything else, so I hope that you understand my words to somebody else that is going there. If you follow the things that the staff ask you to do you will really be surprised how much it will change your life in a really good way. The first time I hear about the Chopra Addiction & Wellness Center was at Kripalu, a yoga retreat where I was attending a weekend seminar with Deepak Chopra. Been familiar with his holistic approach to the treatment of addiction, I decided to look more into it, without really thinking that I would be there two months later. But because of unforeseen events that create a lot of stress in my life, I was afraid to go back to what has been so far my best remedy – alcohol. I knew that I had major clean up to do in my life and that it was time to address old open wounds. I came here on the day of my birthday with not other expectation than to trust the process. I was not disappointed. Even at first, I felt that I was wasting my time by not addressing directly my issues. I learn to detach myself from the end result and focus on the moment. With the daily help o yoga and meditation, I learn to feel grounded in this deeper connection with myself allowing me to identify the source of my addiction. I learn to identify and feel my emotions, something I felt I stopped doing a long time ago. After 4 weeks, I am leaving with a better appreciation and understanding to the importance for me of taking back my life; of establishing boundaries, of the importance for me to be grounded and amazing recipes, the food was to die for. Thank you for the opportunity. I will always be grateful for my six weeks at the center. It was the best gift I ever gave myself. I leave here feeling strong again and know I can live my life and not simply exist. I have regained my self confidence and now am excited to move ahead with my life. I was treated with respect and kindness and compassion. All the staff were so helpful and I felt like I was part of a family. The accommodations and food were five star and all the staff were wonderful! I immediately felt safe and at home when I stepped foot in the center. The support staff were so welcoming and compassionate. I cam wounded and alone and after my 6 weeks, I left strong and connected. Amazing place with an amazing spirit and warmth, would recommend to anyone. The work you do here will translate into an aspect of ones life. I found a spirituality here that I had been looking for, that I couldn’t find for a long time. This is the most amazing place for healing the mind, body & spirit. When I arrived I felt my “light was out” I had lost meaning and purpose in my life and through the skilled and caring work of the counselors and staff my “light” is back on. I had been to two previous Chopra Center Events in Carlsbad and the treatment center here was the next best step for me. I needed more than cognitive therapy, I needed care for the soul and I received that and more. This is a place where if you are willing to dig deep and look at the issues that are causing pain and suffering in your life – you will be surrounded by an extremely sk8illed group of therapists and support staff. I can’t give any higher recommendation. I saw many other guests who had also given up hope in their lives come back into their own lives again and that was a beautiful thing to be a part of. I have been through multiple treatment centers as well as worked in treatment centers. Never have I been in such a healing environment in my life. The Chopra Addiction & Wellness Center is in a league of its own. My life feels worth living again. I learned what was causing my self defeating behaviours and how to stop them. Thanks to the Chopra Addiction & Wellness Center, I now feel a sense of peace, freedom and connected-ness to the world. The level of support was impeccable, from therapy to nutrition, it was all delivered with such attention to detail that I felt my individual needs were always being met. Overall a well thought out program! The Chopra Center was exactly what I was looking for. I know to be successful in controlling my drinking I needed a holistic approach – addressing all aspects; body, heart & mind. The center offered me the opportunity get my body healthier through amazing nutritious meals; twice daily yoga and meditation instruction; massage and acupuncture. The atmosphere at the center is one of love and support and I felt very cared for. This was very important for me. I felt safe and accepted exactly as I was. One thing I under estimated was the power of the group therapy that was offered daily – not only did I learn a lot from the other participants but felt very supported too. All the practical information was very valuable and I found the therapists and support staff worked very hard to meet my needs and go the extra mile to help me succeed and find all I was looking for. My experience at the Chopra Wellness Center was extremely helpful, and I feel the program that is offered there is very beneficial for people dealing with both addiction and depression/anxiety. The stuff is incredible, offering insight , support and education which helped me navigate through my struggles with depression. The center is a welcoming home with delicious food and very caring, attentive therapists and support staff. I feel lucky to have called it home for six weeks and will look back on my time there very fondly. Thank you for helping me learn to how to love myself again! I am so grateful. I encourage those struggling with additive behaviors to attend the center, where the root of the issues, specifically past traumas can be addressed and life can once again be viewed as a happy, wonderful and optimistic journey. My name is Sandi. I was born in Saskatchewan and moved to BC approximately 5 ½ years ago. I was very, very fortunate to be able to come to this healing centre. I’m so grateful, I was at this centre for one month. It was difficult and painful work, but so rewarding. I finally was able to meet the real me “What a Lady” Thank you so much. My time at this center has been life saving! The loving kindness, insight and support I received allowed me to delve deeply into myself. I travelled through a dark night of the soul, under and with this centers caring staff, like a caterpillar becoming a butterfly. The therapists and support staff are second to none, each offering their gifts and talents thereby allowing me to “see & find” myself. The amazing food further nourished me as I made my way to finding my “legs” and wings. Thank you from the bottom of my heart and soul. CAWC is transformative. It helps you build a life rich in joys and love. CAWC provides a holistic approach to building a rich life in which you can thrive and achieve your true potential and life goals. True happiness for yourself and your loved ones. My time at CAWC was the best gift I ever given myself and my family and friends. If you want to free yourself you need to find yourself, the Chopra Addiction & Wellness Center is the perfect place for that search. The combination of Easter practices like meditation, yoga and ayurveda and western psychodrama group therapy and somatic individual therapy is hugely effective. The best support staff team that can be found ever! Thank you for all the care, dedication and support. An easy going intense program, result oriented. What drew me to the Chopra Center was the holistic approach to healing. It’s important to include several aspects when you need to change your life around, be it addiction, depression or even smoking. Chopra Center provides the ideal environment and support to achieve a real life change. The Chopra Addiction & Wellness Center saved me from the darkness and helped me find and shine my inner light. The Chopra Center changed my life. The caring staff and thoughtful programming provided a safe and loving place to heal. I am leaving here with renewed sense of confidence and an overwhelming feeling of hope! Thank you. Chopra Center truly supports one in finding mind, body and spirit. The environment nourishes a person in all these aspects, from the surroundings to all the programs to the meals. All of the staff are kind and caring. It’s a lovely place to heal. My stay at CAWC was life changing! CAWC has been life transforming. The integrated programs of healing for the mind, body and spirit offered me new perspectives on my life. The healthy changes experienced here offer me new tools to use in my day to day quest for well being. Thank you all at the Center for your compassion, skills and professional approach. I intend to return each year to refresh my spirit. I can truthfully say that my time at Chopra Center has changed my life. Every aspect of the program, from the delicious meals, to the powerful team building, to the caring staff. The compassionate level of care in all aspects, to the sheer beauty of the surrounding area, makes Chopra Center a truly once in a lifetime experience. The staff are all truly caring and amazing individuals and have made all the difference in my time here. My name is Graham, I have struggled with addiction and recovery for the past 6 years. I have been to many treatment facilities, some multiple times. I came to the Chopra Wellness Center because I was looking for something different and I found it. It was an amazing experience as they helped me find what I needed, not what they thought I needed or what a book said I needed. The respect, openness, trust and freedom was essential to my journey and vision. I’d come back in heartbeat and bring friends here. 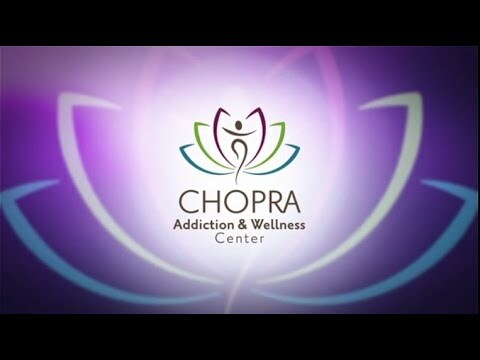 Chopra Addiction & Wellness Center changed my life. I was overwhelmed with addiction and depression. The staff was welcoming and well trained in assisting me on a new way of life. I will be forever grateful to everyone at Chopra Addiction & Wellness Center. P.S. The food is delicious! My time at the Chopra Center was best described as one of my most valuable vacations and I have traveled extensively. The difference with this trip was the journey I began looking inside rather than outside of myself. If I knew it would be so amazing I would have done it a lot sooner. It was the best gift I could give myself and my family. Thank you! I arrived not knowing who I was, what I wanted and with no clear sense of meaning or purpose to my life. I left Chopra Wellness Center knowing myself, loving myself, accepting myself, knowing what I want, why I want it and now my life is meaningful and purposeful again. The center gave me clarity, and empowered me to reclaim my life and my dreams. I am grateful for every therapist, support staff worker, cook and yoga instructor for their unique contribution to my health and wellbeing. Thank you all for making this transformation possible. Absolutely everyone can benefit from a visit to Chopra Wellness Center. Amazing experience, I would highly recommend to anyone with mental health/emotional issues. Healing environment with experienced and truly caring staff. It is evident that they love their jobs and it is felt throughout the activities and meals at the centre. My time spent the Chopra Addiction & Wellness Center has been invaluable. It exceeded my expectations, and proved to be an experience that I believe will have a very positive impact on my life. Staff were caring and supportive and enabled me to realize that I can be a happy, contented person leading a rich and rewarding life! Many, many thanks! As a professional it was difficult for me to ask for help, the centre and the staff made it easy to feel safe and relatable a real feeling of home and genuine kindness of people one meets make you believe in humanity again and the possibility of an alternative life other than the one dictated by external sources. After years of trying to climb out of the cyclic rut of depression, anxiety, and substance use/abuse, I finally reached a point in my life where I knew I needed more than “personal research” with self-help books, talk therapy, and medication. I knew I needed to heal my mind, body and spirit and renew my relationship with myself. Focused on my addictive behavior with alcohol use, I started researching holistic treatment programs (conventional 12-step programs like AA do not speak to me.) Having read Freedom From Addiction by Deepak Chopra and David Simon, I was eventually let to the Paradise Valley Wellness Centre (PV) website. Wow! I found the program that I wanted to experience! I showed up at PV with the desire to literally turn myself over to this place and open myself up to healing on all levels. Not fully knowing what to expect, I hoped for the best. When I walked through the door the first thing I noticed was that I was truly in a home – a home filled with warmth, love, and caring. Any anxiety I carried with me on my journey to PV that day was immediately extinguished upon my arrival. My four weeks at PV was AMAZING! I was so very impressed by the number of highly qualified staff available to care for me. The medical staff, therapists, yoga and meditation instructors, massage therapists, chefs, and wellness support staff each brought to me their unique skills, talents, kindness, humor, love and wisdom as their gift. I truly felt cradled in support by everyone (this includes Sky Bear, the pet therapy dog I immediately fell in love with!). I will forever hold in my heart the gifts I received from all of them. The program itself had a very positive impact on me. After my first week I realized that this program was not merely a mixture of different wellness treatments but was a very prescribed course of therapy containing elements that all work together. The yoga, meditation, therapy (group and individual), addiction education, massage, acupuncture, and nutrition each had a unique role and purpose in treating me as a whole person. Once I connected the dots, I knew I would want to maintain as many elements of this experience as I possibly could upon my return home. My experience at PV far exceeded my expectations and I am equally impressed by the follow-up care I have received since leaving. I have not left PV and PV has not left me. My journey continues and I’ve never felt better about my future. Thank you to everyone at PV who has touched my life in this positive, healing way. Paradise Valley was the answer to my PTSD, severe depression and a 20yr heroin, cocaine & pill addiction habit. The programs offered here are from highly skilled professionals in their varied fields. From the vegetarian chefs, the massage therapist, the canine assisted therapy dog to the yoga instructors, Dr’s & therapists to psychodrama and beyond. I feel their unique methods and healthy living and meditation is the right answer for anyone looking to free themselves. I know this to be true as it has worked for me. I arrived at Paradise Valley feeling broken and empty. I had little or no energy and was drinking uncontrollably and depressed. Physically I couldn’t even turn my head as my neck was so sore and stiff. I felt lost, alone and desperate. The moment I arrived at Paradise Valley I knew I had come “home” The staff literally took me in their arms and nurtured me back to health and wellness. They attended to my every need with loving kindness. I cannot thank them enough nor will I ever forget each and every one of them for their sincerity and full honest, attention to my situation. My therapist, Colleen Griffin was excellent and we related on a level that I have never experienced before! She was incredibly helpful and insightful. Jeff , Michael and MTK were also incredible group therapists who brought humour , warmth and humanity to the group sessions. After a month I began to feel whole again, more peaceful and joyful. PVWC changed my literally changed my life. I now meditate every day, have incorporated yoga into my life several times a week and practise the Seven Spiritual Laws of Yoga on a daily basis. I am moving forward and attending the Chopra Center to get my teaching certificate in meditation as I now truly believe this is the only way to happiness and spiritual enlightenment. Nirmala and her staff are the most wonderful people I have ever met! Just one final note, the food is delicious and is prepared by incredible chefs who are happy to lend their recipes and knowledge about healthy eating! A place overflowing with love, care and compassion! Hello, and my name is Sarah and I am from New Zealand. I have spent three weeks at the Paradise Wellness Centre and have to say that I have really enjoyed it. Those of us who come to places like this, come for a reason and usually we need to sort out some aspects of our lives that have gotten out of control. I certainly had my issues and the professional and caring staff that are at the Paradise Wellness Centre have been outstanding. The group therapy and psychodrama with Jeff Thompson are very insightful and useful to all of us because each person’s issues are very similar to our own. My personal therapist, Michael Bowen was very understanding and certainly was extremely honest with me. He let me know exactly what I needed to hear, even though I did not want to!! His ideas certainly made me look at myself. The yoga and meditation twice a day made the most enormous difference to my time here. The teachers are excellent and they all have their own style so I was not doing the same yoga every day. The meditation served me well, and I believe it helped with the clarity of my thought processes and decisions I reached. Other supportive lectures were very useful and there were some interesting evening activities. The vegetarian food has been absolutely outstanding – in fact far too fabulous!! I was trying to lose weight here and I am not really sure that I did. There were three or four different chefs and each had their own style. All of them were terrific and each was very interested in all of the questions we asked. All in all I would recommend Paradise Valley Centre. It is one of the better centres in this field and I strongly recommend it. I will definitely be back at some stage. Many thanks to you all. Paradise Valley Wellness Centre changed my life! I feel connected for the first time in my 49 years on this planet. I found the tools I need to take on this wonderful journey called life. I highly recommend this healing “home” to anyone suffering from trauma and /or addiction. The staff here are amazing! Thank you PVWC! Namaste. From the moment I walked into PVWC there was a rightness about the atmosphere. The staff was immediately conscious of my needs. A plan for my stay was ready and I was in the program with the other guests and the staff always friendly and helpful. I am really please with results of my stay here, feeling much better emotionally and physically. This has been an experience I can take with me and work into my life. The Ayurvedic menu is deliciously prepared and presented. I was not disappointed with my choice of this wonderful place. As a younger person coming from LA it has been an awesome experience coming out here. I enjoyed the good foods, daily yoga practice and the warm atmosphere. I have acquired tools that I can use in every area of my life for the rest of my life. Thanks for everything P.V. Crew! My experience at the Paradise Valley Wellness Centre was truly life-changing. I was in crisis when I entered the program. The staff at the Centre provided a multi-modal approach which was very effective in helping me cope with the serious emotional issues I was dealing with and historical trauma. Psychiatric and psychological assessments, psychodrama, yoga, meditation and other lifestyle advice and instruction all helped in my progression and recovery. Entering the program was made easy by the kind and experienced staff who took a genuine interest in my recovery, wellness and plan for future progress. Gourmet level food was offered by the chefs. After leaving the Centre the staff have been more than generous with their time by following up with phone calls and in alumni/group sessions. I am not aware of any other program in BC that can offer such a comprehensive array of assessment and treatment services under one roof. I would recommend this program without hesitation to anyone who wishes to deal with life issues and make a positive and meaningful improvement in their life. I travelled from Italy in order to find the much needed help to change my life. I couldn’t have found a better place to work on myself. Love, Yoga, Meditation, and top level professionals helping me made it possible. PVWC has changed my life forever. I am grateful from the bottom of my heart. Paradise Valley Wellness Centre was the most profound and life changing experience of my life. Having suffered many deep losses including loved ones, a rare cancer diagnosis with mastectomy, a near death of my daughter and an early retirement I found I was swimming in despair. Professional support, education and learning to live a healthy, balanced life through yoga, meditation and nutrition enabled me to find my true self. I am excited about living my life now and sharing my new found peace in a healthy and meaningful way. I came to Paradise Valley Wellness Centre after battling depression, alcohol abuse and suicidal thoughts and attempts. I am now going home a new person. The emptiness I felt that was caused by trauma in my life is now filled with joy, excitement and strength. Their unique approach using yoga, meditation, psychodrama and nurturing is the most healing environment I have ever experienced. Staff will do anything to provide extra care and service to the guests. Really a place of serenity, peace, and love. I felt at home where I can be myself and just feel positive each day. My name is Jasmine, I was a client at Paradise Valley. When I first walked through the doors I was broken, fragile and thought life wasn’t worth living! The first week was very challenging! Second week I was getting started and the third week is when the work began. I began to explore my inner child and realized how fearful, terrified and fragile she was. I faced my traumas, explored myself in ways I had never done before and slowly but surely put the pieces back together. And on that I am on my final day, I am about to embark on a new life. Life is very valuable. All you got is one shot – so make it count!! This is the time to be yourself, and be the best mom I can be! As a health care professional PVWC offered me a loving and protective environment to work on my addiction. PVWC gave me the skills to point inward so that I have that grounded space from which I can live my life and continue my profession. At PVWC I was able to develop a greater awareness and insight of that which nourishes me and am able to practice it or at least come back to it. Yoga, a phenomenally healthy diet, meditation and just to focus on myself was huge for me….just learning so much. I don’t believe I ever knew how to get grounded before coming to PVWC. The daily schedule was fairly intense but purposeful. The setting of this facility was SO beautiful (therapeutic in itself). The Centre’s focus is on holistic wellness instead of the illness that discourages and defeats one’s self. This made me feel like I was able to grow, to become….and I’m still becoming. Its a process; as is life. I honestly feel that my experience at Paradise Valley enriched my soul and benefitted me greatly. The staff are all amazing people…each, has a gift and is a gift. I also appreciated the follow-up/continued care. Paradise Valley has changed my life. I now know that I’m a wonderful person who deserves greatness. Substances are a thing of my past and wellness is my new high in life. All staff here has played a part in my recovery and will play a part in my new life. Thank you all keep up the great work! Coming to PVWC is definitely the best thing that has happened to me and for my family. I was saved from my destructive self and was able to find my real self again. The therapists and doctors are like no other that I have seen. The support staffs are not only professional but personable. I had no problem confiding my worst times to any of the staff- as there was never any judgment. – only real support. The evening activities were so full of information – from shopping trips to grocery stores and food demos to supplement and nutrition advice. The knowledge gathered here is incredible. Not once did I feel anything but a GUEST that was truly welcomed in a beautiful, supportive community. Thank you soo much to all the staff and therapists and of course Nirmala, who truly cared about my wellbeing I will never forget my stay here and the people who I truly came to love. Thanks again to all. Coming to Paradise Valley is the single, most best thing I have done for my life! HANDS DOWN! The therapy/yoga /mediation and Chopra Centre Philosophy is something I fell in love with instantly. I know for certain I have done lots of healing for all my mind/body and especially my soul. I am looking forward to deepening and broadening my understanding of the “eastern world” philosophies, ie Vedic sciences, yoga meditation, so I can continue to unite my mind/body/ spirit in the healthiest ways possible. Thank you! THANK YOU! Thank you! All of the elements of Paradise Valley-the diet, the daily yoga and meditation, the positive, supportive environment, the group and individual sessions – all combined to make it the perfect place for my healing. I’ve waited ten years for a treatment centre like this. My overwhelming gratitude goes out to Nirmala Raniga and the entire PVWC staff. My experience far exceeded my expectations and I’m walking away with something I’ve always wanted: a daily awareness of my higher self. This really is a wellness centre. My life was in a rut. Although I had overcame heroin addiction and left behind the “drug scene” I still continued to use cocaine occasionally I knew there was more to life than boredom and dullness but I didn’t know the way out. My life felt okay but was constantly on the brink of disaster. My health was failing from a lack of energy to get up and save myself. Then I came to paradise valley wellness centre. I am writing this the night before I am to go home. I feel a profound change in my body, mind and spirit. I have a renewed sense of energy and a new passion for life. I am leaving with the wow back in my life and a sense of wonder that I haven’t experienced since I was a child. My blood pressure is down 30 points and even thought I was diagnosed as being in early menopause, I have menstruated for the first time in 4 years. I believe I am leaving with many new tools to deal with addiction as well. I am also leaving as a new and better person. Thank you PVWC!